Thank you for your business this past year! We hope you have a successful, prosperous, healthy and happy New Year! 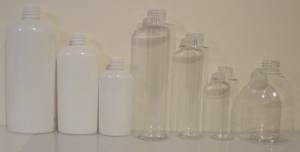 The rest of the natural LDPE Boston round bottles have had their product description updated with dimensions etc. We've been having some problems recently with our oshun supply dot com email addresses. Most contact addresses on the web site have been changed back to the oshun dot ca emails but some pages may not yet have been updated. If you've emailed us and not received a reply we may not have received your email please resend to this address. We can also be reached via our back up gmail address which is our company name, all one word, without the Inc.
Coming next month: 8 oz and 16 oz flint glass Boston round bottles! 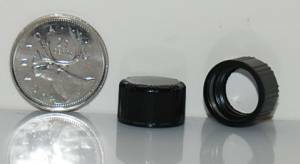 20-400 and 24-400 silver aluminum caps to fit our 1 oz, 2 oz and 4 oz glass Boston round bottles are on order and will be in stock soon! We hope you have a successful, prosperous, healthy and happy New Year! P292 20-410 black treatment pumps have changed to a new Jet product with a 4 inch long dip tube and significantly lower price. New case quantity is 1000. Please note our free local shipping options have changed slightly. We have found that Expedited shipping prices seem to be the same within BC, whether shipping to Sorrento or Stewart. Greyhound Package Express however is quite reasonable and about half the price for average shipments in the Shuswap region. As a result we no longer offer Expedited as a free option within the Shuswap and have instead added a number of different local Greyhound stations as free shipping/pick up locations. See our Shipping Info page for details on the various options. These stainless steel wire lab spatulas have two 2" flat ends, one tapered, one blunt. Ideal for many lab applications including stirring and scooping small amounts of powders etc. We used to number the payment methods to keep them in the order we wanted them to display. This worked well when we had nine different payment options, 1. Visa, 2. Mastercard...9. Wire Transfer, etc. Now that we have 12 different payment options, numbering no longer works as the two digit numbers display up top after 1 in alphabetical order. So the various payment methods are now listed by letter; A. Visa, B. Mastercard...L. Wire Transfer, etc. We have a totally new invoice. The invoices had to be redone due to the tax changes but it was also time for a complete overhaul to include room for more info. The invoice was redesigned with the way it's shipped in mind. The information needed to be seen when it's in the clear window envelope on the top of the box is now located in the top right corner and the invoice is now put in with that corner showing. This allowed us to remove the shaded bar we had put on to hide the credit card slip showing through as that is now underneath. It also keeps product info from being seen without having to overlap the shipping label as the top section of the invoice is now larger. We've added fields to allow for PO (purchase order) numbers for our client who may wish to have one referenced on their order. There is now additional shipping cost details in the bottom section. Shipping costs include coverage (insurance) and GST/HST tax, these items are now detailed on the invoice. The total GST is now shown which is the GST on the invoice for the products, plus the GST included in the shipping. Clear non-perforated shrink bands for 18 mm - 24 mm printed "Sealed For Your Protection"
With the addition of 12 new labels above, including 2 new colours / materials and 3 new sizes, the entire label category has been updated. All product descriptions now include a drawing of the label sheet. Some of the size names have been shortened up for simplicity and so they list by size properly when alphabetized in a list. The 1.63" round is now called 1.6", 2.63" x 1" is now called 2.6" x 1", 2.83" x 2.2" is now called 2.8" x 2.2"
The new LQ022 2 oz White Deodorant Tube Set we added a couple of months ago sold out almost immediately. One person bought the entire lot. Luckily we were able to access more stock and have a large shipment arriving next week. 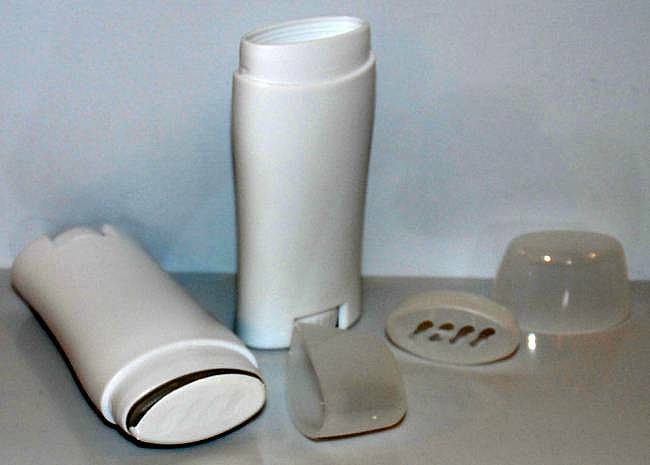 P196 30 ml Powder Bottle Set is no longer available and has been discontinued. Sunflower Oil has been updated with a price decrease. The 25L size is now a 20L size. 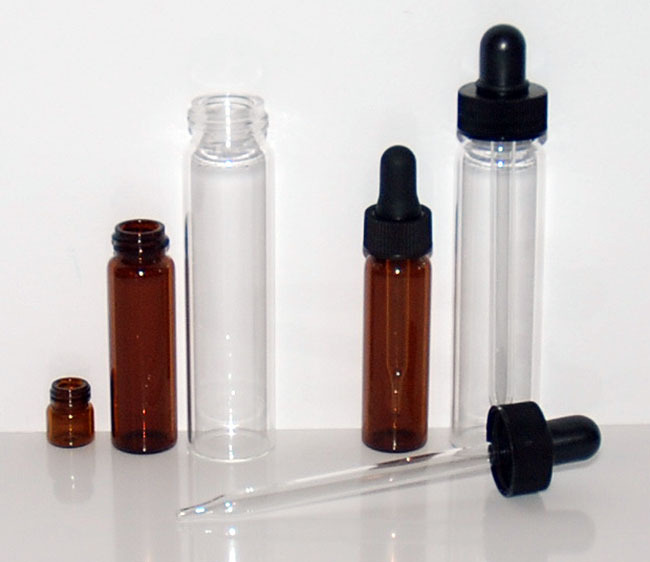 The Glass Vials category has been updated with new product descriptions. It is also now using the Related Products feature so that all the closures that fit are listed below the description making it easy to match up lids to vials. 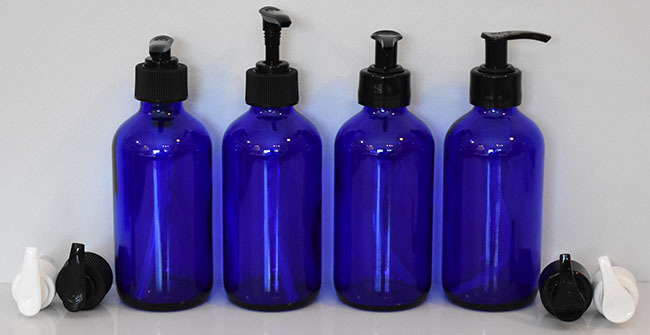 The Glass Bottles category has also been updated with all new product descriptions. The Related Products for each bottle has also been updated to include the new caps. Two of our glass vials have had a name change. The 22 ml flint vial is now called a 6 dram, the 60 ml is now called 16 dram. Now all our glass vials with a standard threaded neck are called by their dram sizes. 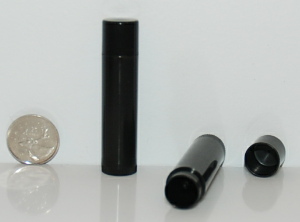 To distinguish the other type of glass vial with no neck or threads that takes a plug type closure, those are named by their dimensions in diameter x length. We now stock both white and black snap tops in 20-410, 24-410 and 28-410 sizes. Laminaria Powder has been discontinued. Our Kelp Bladderwrack Powder (Fucus vesiculosis) will be discontinued when remaining stock sells out. Both these sea botanicals have been replaced with the two products above. Some product data has been updated; Calcium Carbonate (now a 12 micron product), Cetyl Alcohol, Bentonite Clay, Glacial Clay, Coconut Milk, Guar Gum and Rose Hip Powder. Flax Seed Oil has been discontinued. The Limited Quantity packaging category has been deleted. The various items in this category are now in the Packaging category and appropriate subcategories. We will continue to denote those items which are limited stock custom/from surplus by using the LQ product code. Their availability will also be noted in the product descriptions. Regular stock items that are available ongoing will continue to have the P product codes. Our web site is being updated. Most pages are now in HTML5. Some new pop up windows have been added to make viewing policies, shipping info, the pack multiples table and the measurement converter pages easier. A new progress bar has been added to the check out / complete order process to illustrate what step one is at. 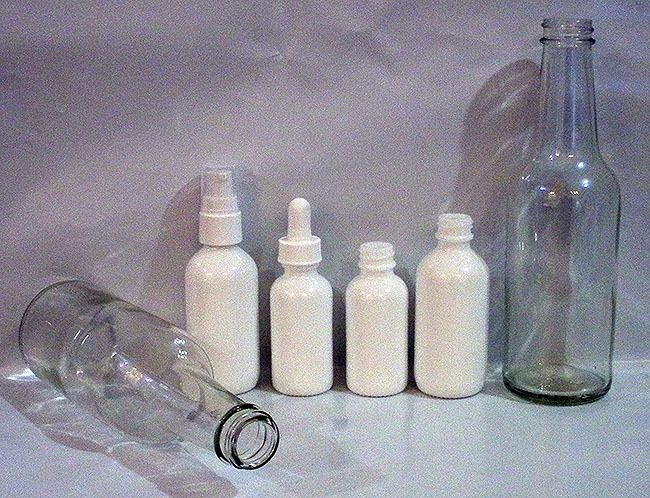 Two more subcategories have been added under Glass Bottles; Flint Food Glass Bottles and Flint Cosmetic Glass Bottles. All the glass bottles are now in a subcategory except one "orphan"; the 15 ml Amber Winchester Bottles as they are not part of any of the other lines. Our two Woozy bottles have had their photos, descriptions and related products lists updated. One of our new push in type orifice reducers, the 20mm size fits these bottles, in addition to the two snap on type fitiments for these bottles. With three choices in size of reducer, these bottles most popularly used for hot sauces can be used for various thicknesses of sauces. The Pipettes and Droppers category has been deleted. 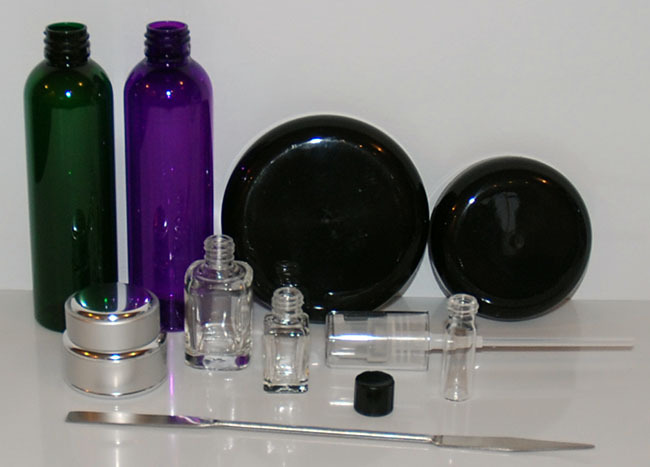 The glass dropper caps were already under Dispensing Closures and the Dropper Caps subcategories, the transfer pipettes and glass eyedroppers have been moved to the Accessories and Lab Equipment category. The Metal Containers category has been deleted. 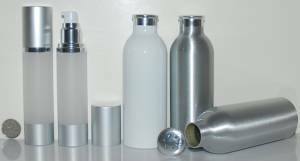 Both of it's subcategories, Aluminum Bottles and Steel Tin Sets are now main product categories under Packaging. We now stock two sizes of kraft tin tie window bags. The 1/2 lb and 1 lb sizes are based on coffee, other items will vary widely in capacity. The 1/2 lb bag on the left is shown filled with 454 g of coarse salt, the 1 lb bag is on the right shown filled with 1 kg of coarse salt. These push in fitments reduce the opening of plastic and glass bottles to dispense through. We have added a new 18-400 size of glass dropper cap in two colours, black or white. They have a 2.5 inch glass dip tube (pipette) and fit both the amber and cobalt 15ml dropper bottles. We have also added a white glass dropper cap in the 20-400 for 1 oz size which fit the 1 oz glass Boston round bottles. 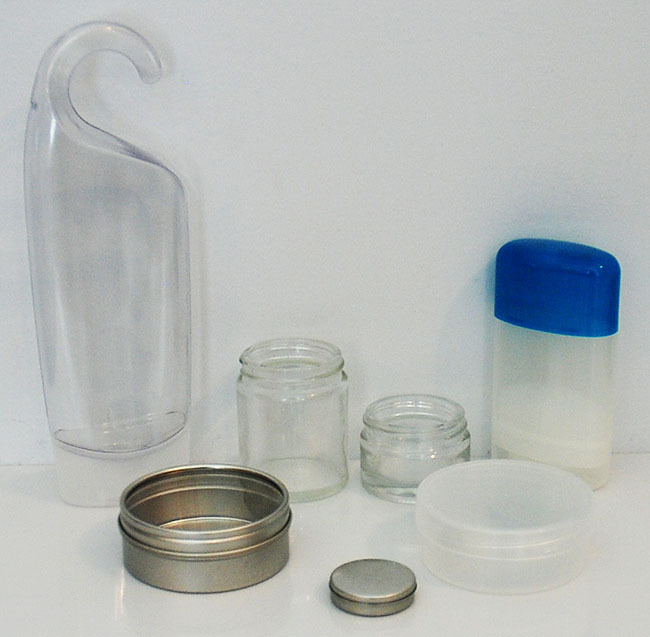 We have added another reducer/sifter fitment for woozy bottles. The one we already stocked is on the left, the new one with the larger orifice of 0.225 inches is on the right. The larger 5.7mm opening is perfect for thicker hot sauces and more. As we now have several different orifice reducers, a subcategory for them has been created. The related products have been updated to add all the above items as well as shrink bands to the items using this feature. Many of our essential oils have had price updates. The prices on these commodities have been very volatile the past year or so, with many of them doubling and even tripling in price. While a couple have decreased, and some have remained about the same or seen modest increases, the bulk of them have increased in price. With so many to be updated, including some changes to country of origin, we've taken this opportunity to update the descriptions. Product descriptions will now include not only the latin name and country of origin, but also the extraction method and plant part used. Where ever possible additional information like other names they're known as have been added to make things easier to find in a search. The 120ml sizes have also been changed to 125ml to more accurately reflect the actual quantity. Eventually all the oils will be updated and have their descriptions enhanced. The following oils have just been updated: Amyris, Anise, Basil, Bay Laurel, Black Pepper, Cajeput, White Camphor, Cassia, Blue Chamomile, Blue Chamomile 10%, Cinnamon Leaf, Citronella, Clove Bud, Coriander Seed, Eucalyptus Citriodora, Eucalyptus Globulus, Eucalyptus Radiata, Eucalyptus Smithii, Sweet Fennel, Fir Needle, Jasmine Absolute, Jasmine 5%, Organic Lavender, May Chang, Niaouli, Nutmeg, Oakmoss Absolute, Sweet Orange, Palmarosa, Parsley Seed, Peppermint, Rose Absolute, Rose Absolute 5%, Rose Otto, Rose Otto 5%, Tagetes, Tea Tree, Organic Tea Tree, Vetiver, Ylang Ylang Extra. Tetrasodium EDTA, Pumice, Pyrophyllite, Rice Powder, Coarse Salt and both Titanium Dioxides have had price increases. There is now a table of all the Shrink Bands descriptions on the subcategory page below the products. You can now see at a glance all the different sizes and containers they fit. 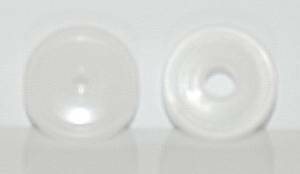 After a several year absence we're happy to again be able to offer a 20mm white snap top. 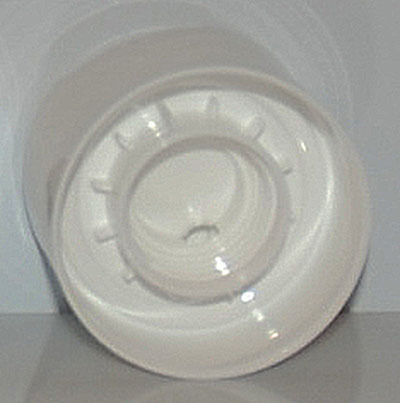 We now have a stock source for these dispensing caps. As a result we've also been able to lower the price on the 24-410 size, which has also had a change to the case quantity. **Please note the shipment with the above items has been delayed and they will now be arriving at the end of the month. We've changed the names of a couple of our vials. The 1/5 dram and 3/8 dram flint vials with stopper sets now go by their measurements; 8 x 35 and 8 x 60. Both vials are 8mm in diameter, the other measurement is the length in mm. 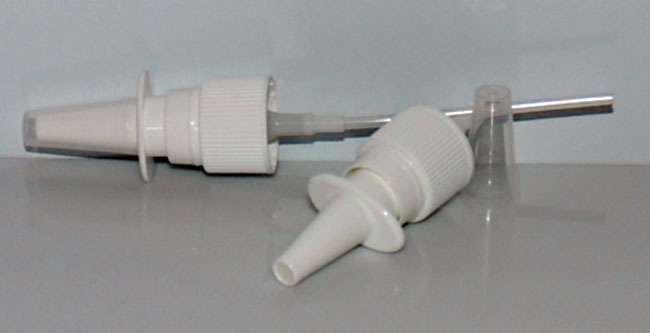 These vials have no neck or threads, are shell type vials, and were renamed both to avoid confusion with the threaded neck dram vials and to accommodate future additions of other sizes of shell vials with stoppers. This bottle is like it's cobalt blue counterpart and will accept all kinds of 24-410 (-410 height) closures including sprayers, pumps and a glass dropper cap. The lined black cap has a single flapper that lifts up to reveal 5 shaker holes with a .300" orifice size. These bottles are extremely squeezable. Perfect paired with a Yorker or Turret style closure to squeeze out all kinds of product. 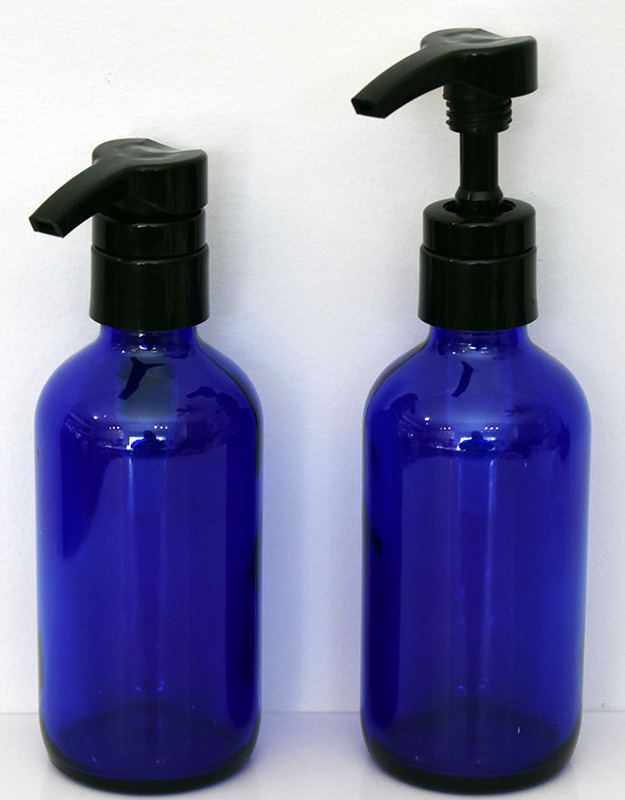 The 1 oz size is popular for hotel amenity use paired with a screw cap. The new 16 oz Clear PET Jar stock has arrived. New case quantity is 140. Both cases and 6 packs have had a massive price reduction. Our 1/4 oz Slider Tins now come packed in different quantities so the 200pk size has changed to 320pk. 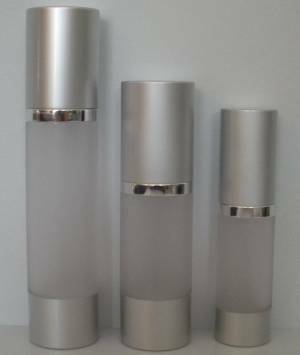 The 50 ml Aluminum/Frosted Airless Set is from a different manufacturer and is slightly different than 2011 stock. In addition to a case quantity change, the new set is slightly taller and narrower, the pump is all silver, and the base and overcap are shinier. The polystyrene bottle is UV coated to protect your product. 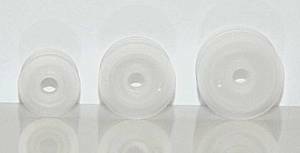 We've added a case size on our 13mm orifice reducer. Look for other sizes of orifice reducers arriving next month. The 24mm Reducer/Sifter for Woozy bottles is now available in case quantities as well. 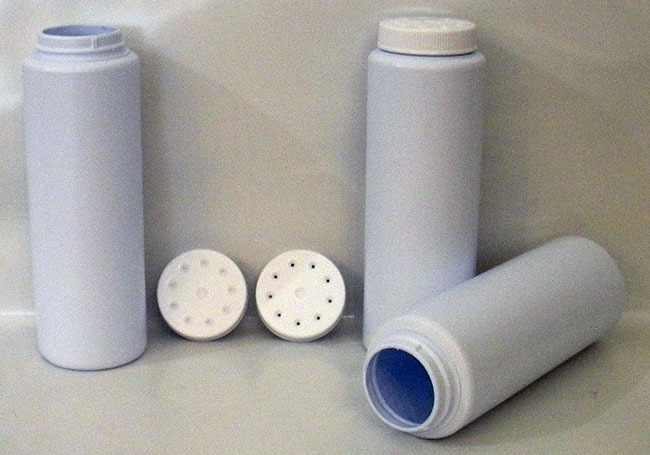 Look for another new reducer/sifter fitiment with a larger orifice arriving for these bottles next month. Our glass dropper caps have had some name updates. The glass pipette is now called a glass DT (Dip Tube) and gives the length in inches in the name. The names still retain the size of bottle the dropper caps primarily fit; 1 oz, 2 oz, 4 oz glass Boston round bottles. The for 1 oz and 2 oz ones have had a case quantity change. New 18mm ones that will fit the 15ml dropper bottles, in both black and white, as well as a white one in the 20-400 for 1 oz size will be arriving next month. Egyptian Geranium Oil is available and in stock again. Both Geranium and Rose Geranium Oils have had significant price increases due to the continuing unrest in Egypt. Our Lemon Peel Fragrance has been replaced with a new one called Lemon. Perfect for bath salts, dry masks and more. 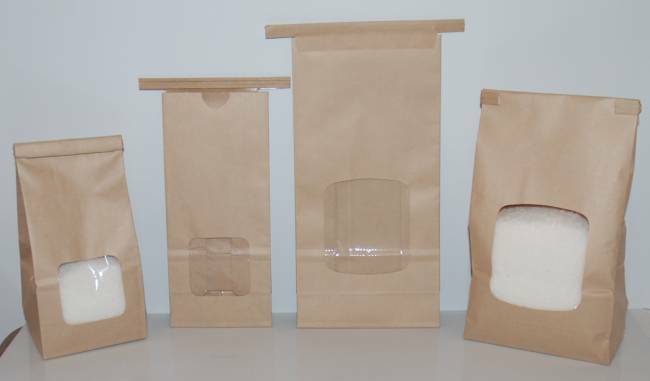 Coffee style bags are poly lined to keep product fresh while clear window shows off the product. Used for a wide variety of food, tea, herb and other products including bath salts. These new vials have the caps strapped to the neck of the vial so they can't be dropped or lost. Unique, scientific looking packaging for solid or liquid product. Perfect for 4/20 use. Our largest size fingertip fine mist sprayer fits the 28-400 neck of the 8 oz and 16 oz glass Boston round bottles and others. We now have a Natural coloured pump the same saddle style as our white and black ones. We've added a new bulk size of Bentonite Clay, 22.7 kg (50lb), which offers a significant discount on the price per kg. Current stock of Cocoa Butter has changed from a 2.5 kg pail to a 3 kg size. Prices have been updated on many packaging items. 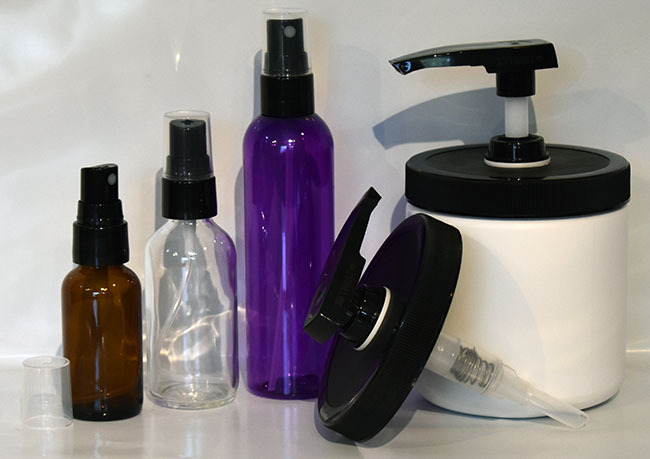 Due mainly to the continuing strong Canadian dollar, there have been massive price reductions on most plastic bottles, aluminum bottles, plastic jars and closures including both continuous thread lids and dispensing closures like pumps and sprayers. The exceptions are some beakers and some treatment pumps which have had a slight price increase. The special order category has been deleted. Fresh peach fragrance has been discontinued. We've added a new bulk size of Emulsifying Wax, 22.7 kg (50lb), which offers a significant discount on the price per kg. Our plastic bottles have now been subcategorized offering more ways to view and order them. First they have been subcategorized by type/style; Boston rounds, bullets (Cosmo rounds), cylinders, ovals. Then each of these subcategories is also split into the various lines/colours. 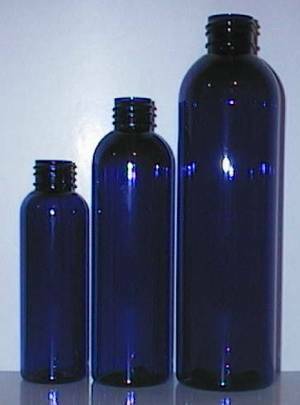 So you can view all the PET Boston round bottles, or just the blue range, the entire selection of plastic cylinder style bottles, or just the natural HDPE line. As always you can view the entire selection in the main plastic bottles category. Egyptian Geranium essential oil, and the Geranium Fragrance made with it, are not available at this time. We saw this commodity double in price last year and should the product become available this year it will be just about double the price again over the previous increase. As we may be out of stock on this product for a longer time period, it has been removed from the web site. "Paraben-Free" is one of the most used terms lately in cosmetics and personal care marketing. Did you know that in addition to being paraben free and thus giving you that label claim, Liquid Germall Plus is such a popular and widely used broad spectrum preservative because it is safe and effective in such low amounts that it is the choice of preservative for organic and 'as natural as possible' products. With typical use rates in the 0.1 - 0.5 % range, formulations can be made 99%+ natural or organic. Liquid Germall Plus has had a price and description update. Did you know the foam rollstock we use to wrap our eo's for shipping is: reusable, recyclable and CFC-free. This product not only provides superior cushioning, it can be reused over and over again (unlike similar products such as bubble wrap). Our INCI page has been updated. The rawest cocoa butter you can get. This dark brown butter looks like chocolate. The strong natural chocolate aroma of this wild crafted butter will make your mouth water! We now have three cocoa butters to choose from, including the regular one with the low odour. This bright gold butter is the rawest shea you can get. Our Natural Shea and Refined Shea have had some updates and changes to pack sizes. 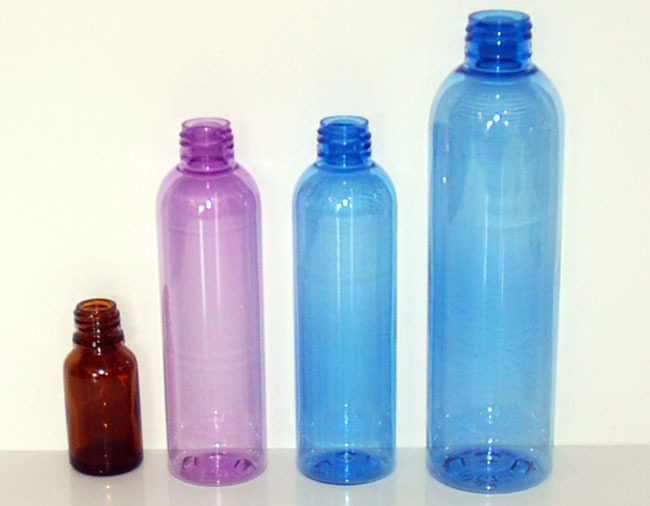 Our Glass Bottles category has been subcategorized into the various lines; Cobalt Boston Round, Amber Dropper Bottles etc. 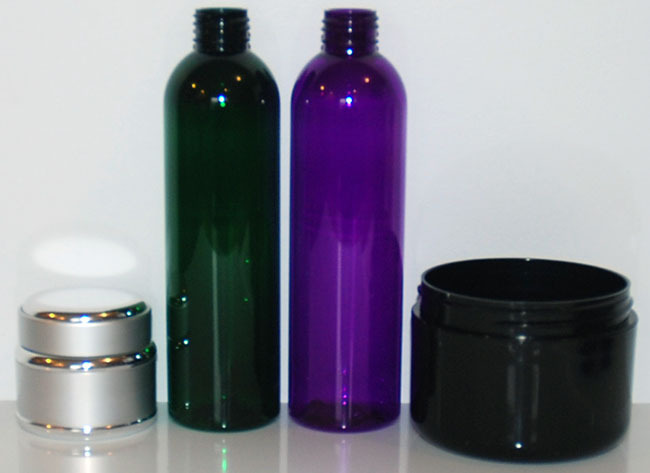 Our 4.5ml round jar with black lid set has had a massive price reduction. Some additional volume pack sizes have been added for additional discounts on this very popular product. To avoid confusion we've renamed the dip tubes we brought in to extend our treatment pumps. Although the dip tube itself is 4.25 inches long, dip tube length actually measures from the top inside of the cap part, so these dip tubes actually make a treatment pump have a 5 - 5.5" DT length. Look for further price reductions on packaging products as we continue to try to offer better pricing. As the higher dollar has been mostly offset by higher material and other costs, we've mostly just been able to keep prices stable despite rising costs. However where ever we can, we've made changes and sourced product directly to enable us to get costs down and pass the savings along in lower prices. As new stock replaces the old we can reduce pricing on some of these items that we've been able to get costs down on. Black Lip Balm Tubes are now in stock, available in three pack sizes. Our White Lip Balm Tubes have had a price reduction, a 500pk added and the case quantity is now 2000. A few months ago we found out we'd no longer be able to get the 5 ml cobalt dropper bottles, our supplier was only going to be stocking a short stubby version which was of no use as it was too short to accept a 1" tall label. 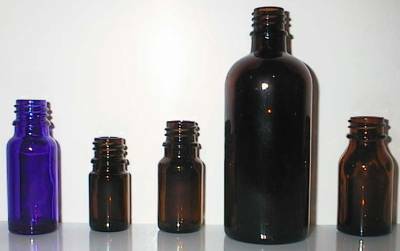 As a result we have had a custom run of 5 ml cobalts made by the manufacturer to ensure we will be able to continue supplying and using this bottle to package our essential oils. We now have over 43,000 in stock and ready to ship. We have priced these bottles to move fast as they are taking up a lot of space. The new case quantity is 720, but is only about $14 more than what the 250 unit case used to sell for. A new pack size of 3 cases, 2160 bottles, has been created to offer a multi-case quantity additional discount of about 33% off the case price. We think you'll find that the case price on these bottles, even the 12 pack price, is the best pricing on 5ml cobalt bottles available. The bottle we have stocked in the past is on the left, the new current stock bottle is on the right. It's just a few mm taller, and also has a body tall enough to accept 1 inch tall labels. Full bottle specs are available on request. LQ006 is now also available in a 12 pack box, as well as the 72 unit case as before. The price on the case has also been reduced to clear. Our Ingredient Info page and several product descriptions have been updated. Anise Oil has had a price increase. It went up substancially last year but we held our price hoping it would come back down. This year it has increased dramatically again so we were forced to update the pricing. 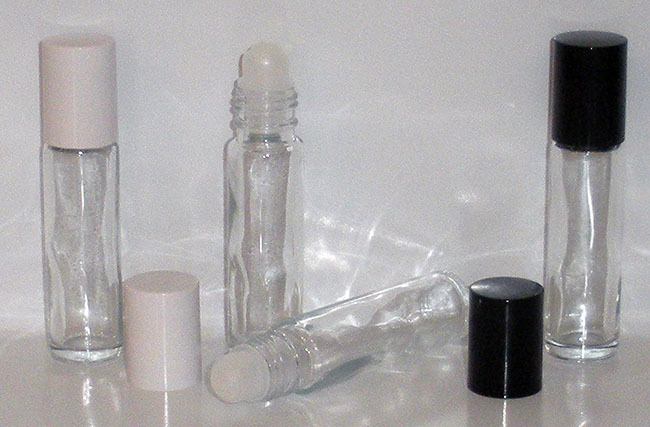 These 8mm x 60mm perfume sampler vials are a larger version than the 1/5 dram ones we've always carried. Sold as a set with a stopper (no rod or pen clip). This addition to our dram vial line is the same as the amber 5/8 dram vial we've always carried, but in clear glass. It is also the shorter companion to the 1 dram flint vial. With the same 13mm neck as the others, there are a few lid options as well as an orifice reducer to fit. Same as our flint and amber 1 dram vials, but in gorgeous cobalt blue glass. With the same 13mm neck it will take a variety of lids, an orifice reducer or the 13mm glass dropper cap. These atomizer sets are sold fully assembled, individually wrapped and boxed in 12's. 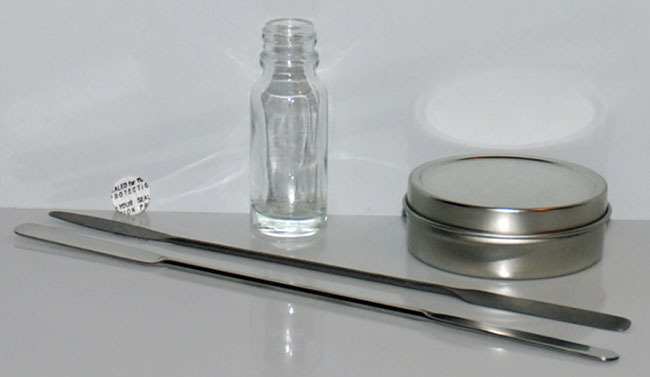 The four piece set consists of a flint glass vial with a bright (silver or gold) sprayer inside a brushed aluminum (silver or gold) shell; base and overcap. The gold set was formerly carried as a limited quantity item, LQ012. All our Emsar treatment pumps have a 3.75" dip tube. These work on the 1 and 2 oz bottles they fit, but are not long enough for taller 4 oz bottles with the 20mm neck. Now with the addition of this dip tube, any of our treatment pumps can be made long enough to work on even the tallest 4 oz bullet bottles. These two new lids are the first sizes to be added in a new line of natural (clear) dome lids. Smooth and unlined. We've brought in a large stock of this limited quantity item treatment pump. 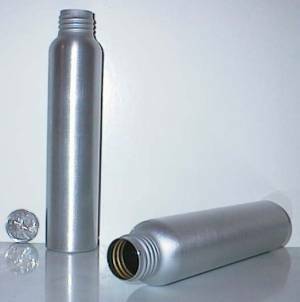 With it's long 6" dip tube it can be used on tall 4 oz bottles like the 4 oz bullet bottles. The dip tube is nice and flexible so it may not need to be trimmed to exact length on most bottles it fits. With it's longer dip tube and having a cap, LQ021 is an improved replacement for the now sold out LQ008 treatment pump. 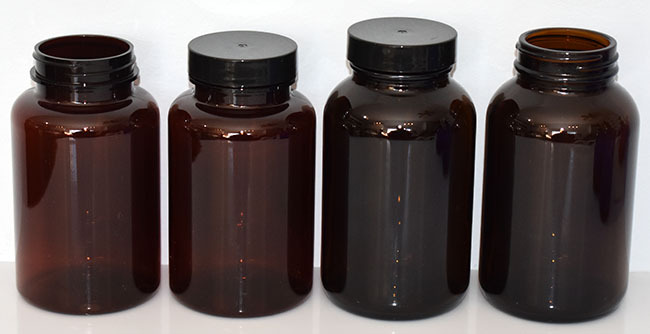 The 500 ml Amber Glass Metric Round bottle is now available in a boxed case quantity of 6. We are out of stock on the 48 unit cases of these bottles, but do have the 16 oz Amber Glass Boston Round bottles in stock in a 60 Unit Case at a lower price. The 16 oz bottles also will hold a capacity of 500 ml. We are unable to get our regular stock 24-410 Black or Natural (white ones are unaffected) lotion pumps at this time, but have brought in replacement stock. Please see product details for differences in dip tube length etc. Glacial Clay powder is once again in stock. The bulk pack size is now 10 kg. The Bargains category has been updated. Some new items have been added. Some items the quantities have been reduced or are now sold out. The French Square bottles the 16 oz size is gone, the remaining stock of 4 oz and 8 oz bottles are now being sold in boxed packs of 12. Some products have photos and descriptions, click on the product code to view. New photos of the full line of glitters and micas are now up on their category page. The Colours page has also been updated with these new updated photos as well as a couple of others like Manganese Violet. We are no longer offering Priority Courier as a shipping method. We have found that in almost every instance, Xpresspost was the same delivery time as Priority Courier at a fraction of the cost. In the few rare situations where it was faster, it was only a difference of 1 day and often twice the price. As it almost always ends up that this method is not used once prices and times are known, we have removed this as a shipping option. If you need a faster shipping method than Expedited (the most cost effective shipping there is, and the method that over 95% of our orders ship via) please choose Xpresspost. If you are in BC or Alberta and the two days delivery time by Expedited is not fast enough (or your order is shipping out on a Friday and you need to be able to pick it up on Saturday), Greyhound Courier is a good alternative. Do you use our Search feature? It can be a fast and easy way to find what you're looking for. We have added a couple more search boxes to make access to the search feature more convenient. We will be closed for the holidays from Dec. 20 - Dec. 31, 2010. Order deadline for shipping on Dec. 17 is 10am Pacific Dec. 16. Orders placed during the holidays will be shipped when we reopen January 3, 2011. 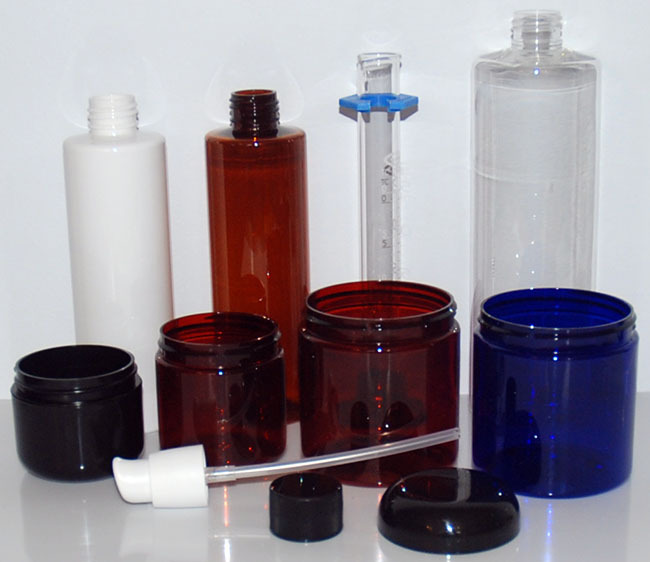 This all polypropylene jar set has a potential range of capacity from 180ml (6 fl oz) to 275ml (9.3 fl oz), depending on how filled, due to it's over 4 inch diameter. This pump that fits 4L and 1 Gal jugs is the same as the P291 one we've carried up until now, but this new one is a lock down style. This pump is perfect for spa, salon, hair care, and bulk product use as it fits 89mm neck jars. Comes with a 3.6" DT which fits the 16 oz White PP Jar and the 500 ml White HDPE Jar, also can be trimmed a bit to fit the 16 oz Clear PET Jar. This Dip Tube fits the 89-400 White Lotion Pump and will extend it's length for use with 1 L HDPE Jars and taller containers. We now carry a full line of clear perforated heat shrinkable bands for providing a tamper evident and professional seal for a wide range of container neck sizes from 13mm and lip balm tubes up to 110mm. The 20-410 White Treatment Pumps and 24-410 Black Lotion Pumps have had price updates. We now offer an additional non-credit card payment method, CIBC bank deposit is now an option. Our White Mactac Labels have been renamed White Matte Labels. The 15 ml and 50 ml Amber Jars are now packed in 12 packs. We are pleased to present the full line of Flint Boston Rounds. 1 oz., 2 oz., and 4 oz. Flint Bottles are now in stock. 16 oz. Bottles are now in stock. 8 oz. Cobalts will be coming in soon. We now carry three different grapefruit essential oils, white, red and pink. White Grapefruit has had a price decrease. We're now carrying a certified organic hemp oil rather than the no pesticides version we formerly stocked. We're now carrying an organic coconut milk rather than the regular version we formerly stocked. In addition to the new bottles added, all the other existing glass bottles in the 4 oz. and 100ml sizes 12 packs are now boxed rather than bagged. 16 oz. clear PET jars have had a price increase. Most of the disc tops have had price updates and case quantity changes. Various other lids have had case quantity changes. 1 oz. Amber Boston round bottles have had a massive price reduction and are still available in convenient tray packs of 110. 1 oz. 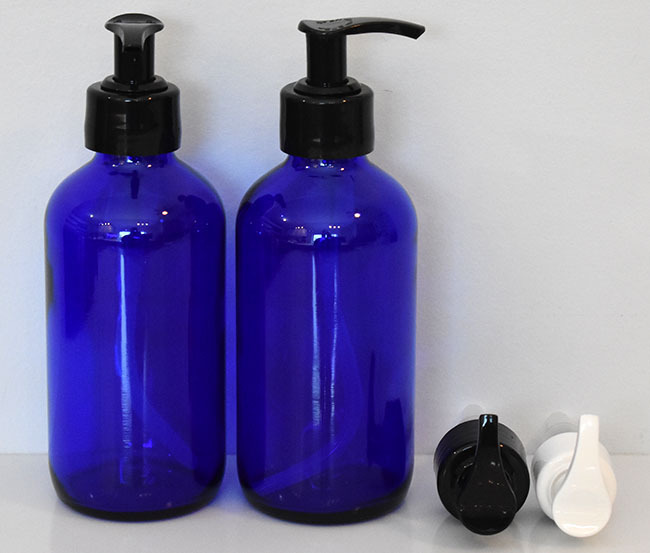 Cobalt Boston round bottles now come in a 360 unit case. 4 oz. 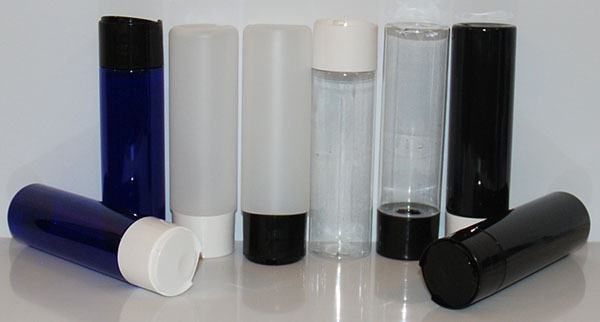 HDPE cylinder bottles have also had a case quantity change to 770. Calcium Carbonate and Cocoa Butter have had price increases. The Garage Sale and Clearance categories have been combined into one new Bargains category. Some new items have been added and others have had price reductions. Packed 100 to a bag, and in cases of 50 bags (5000). A new smaller addition to our Beaker line. Measures 5ml to 15ml in 5ml increments. 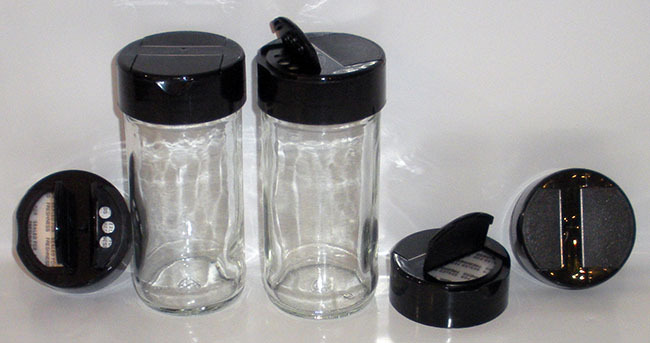 These Heavy Wall PolyPropylene Jars are low profile styled with 70-400 neck sizes. Our new line of Single Wall PolyPropylene Jars are very economical, recycle friendly and made in the USA. Our new line of smooth lids have a glossy finish. The current size range also includes the 48-400 size one we already stocked, and a 70-400 is on backorder and will be added in future. 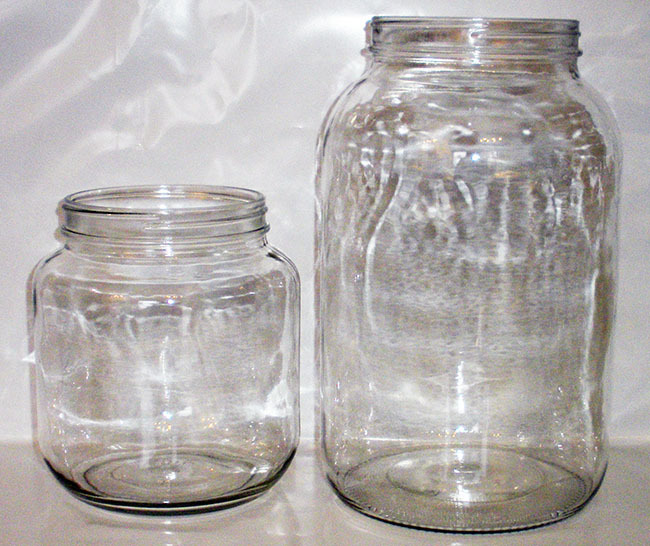 Another option to fit our 28 oz Clear PET Jars. In black our initial size selection in smooth lids are our two most popular sizes. More sizes will be added in future. Cetyl Alcohol and Cornstarch have had updates, both have bulk bag sizes of 22.7 kg now. Aloe Vera Extract and Arrowroot Powder have had their descriptions/product data updated. Arrowroot Powder has had a price update and the 25kg size has changed to a 22.7kg. Citric Acid has had a price update. Our Clearance category has been updated. Our Policies have been updated. We are no longer able to accept cheques or money orders except Canada Post Money Orders. For those wanting payment methods other than credit card we will also still be offering Interac Email Money Transfer and Bank Deposit at TD Canada Trust for our Canadian clients. For our US clients, Bank Wire Transfer is now available as a payment option. Some cosmetic changes have been made to our web site to ensure the appearance and functionality works well on iPhones and other smart phones. We'd love to hear any feedback if you are viewing our site on one of these devices. The new 190 ml jar has an actual maximum capacity of about 167 ml. We will be closed from December 21, 2009 thru January 3, 2010. Our last shipping day this year will be Friday December 18, with an order cutoff of Thursday December 17 at noon. All orders placed during the holidays will be processed when we reopen Monday January 4, 2010. In addition to adding this new colour, the Clear PET Bullets in 2, 4 and 8 oz. have had significant price reductions. These new caps fit the cobalt and amber dropper bottles with 18mm necks. The spatula is the perfect length fit for the 10 ml size bottle but can be used on any of the other sizes except the 5 ml, which is too short. 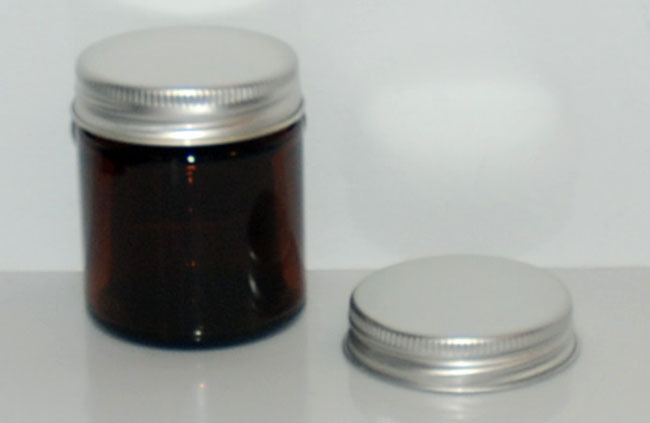 The addition of the 33mm size to the dome lid line will allow for a dome lid on the 1/4 oz double wall jars. It will also fit other 33mm neck jars including the 15 ml amber, 1/4 oz. PS TW Jar, and 1/2 oz. PET Jar. This lid offers an alternative for the 28 oz. 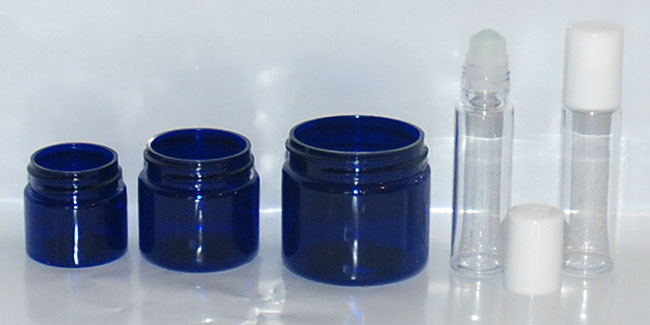 PET jar and further expands the dome lid line. The gold metal plastisol one piece canning style lids are now sold separately. A new subcategory has been added. 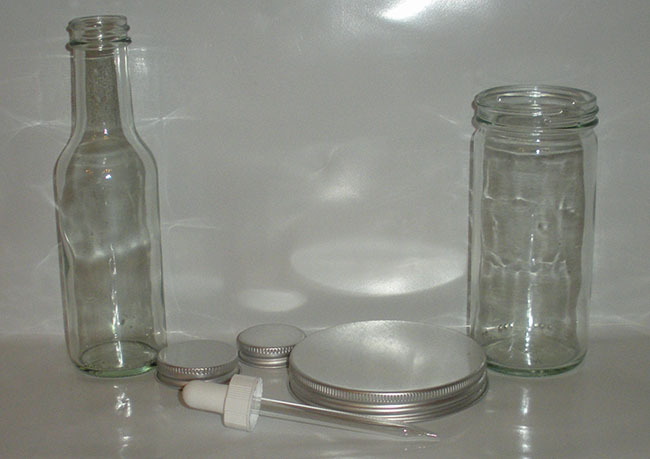 The remaining food glass type bottles and jars that were sold as a set with the lid have now been split up and containers and lids are sold separately. This will make it easy to reorder the canning jar lids separately, especially when reusing the jars. 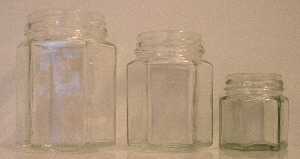 The containers have retained the same product codes, the lids have been assigned new ones. If you're not sure which lids to order, click on the product code to go to the product page for the container where the applicable lid will be listed in the description. Or ask for assistance, we'll be more than happy to help you match up lids. We finally have a deodorant/propel-repel tube to offer for lotion bars and other products. While this is a limited quantity (custom from surplus) item, we have brought in a multi-year supply. The 8 oz. Round Base Double Wall Jars are now all PolyPropylene (PP outer / PP inner, they were formerly PS outer) with a recycling code of 5 on the bottom. The 8 oz. Square Base Double Wall Jars are also all PP now. The small pack size of this jar was formerly an 8pk but is now a 12pk. We renamed our Flint Hex Jars over a year ago as the size names were way above the maximum actual capacity, however to avoid confusion we have now changed them back to the manufacturer's name and name they would be known as at other suppliers: The 90 ml is once again called 110 ml Flint Hex Jar and the 30 ml is the 45 ml Flint Hex Jar. 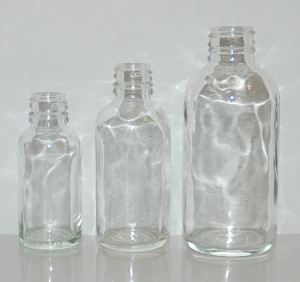 As mentioned above the Clear PET Bullet Bottles in 2, 4 and 8 oz. have had a price reduction. The 4 oz. size we've been able to drop the price on a case by $100! After testing many different styles of trigger sprayer, all with their problems and drawbacks, we have added a new white one that is the best we could find. We have added the first three sizes in our new line of silver aluminum lids. They coordinate nicely with clear/flint, white, blue or amber containers providing a different look than white or black. Please note the 20-410 size are not recommended with glass bottles due to the bead on the neck of the bottles stretching them. Orange, Pink, Purple, Red and Yellow Colours, Lavender, Orange Flower and Rose Distillates, DPG, Seaweed Extract, 6.5cc/7ml scoops, 1/4 oz and 1/2 oz Shallow Tins, Large Hinged Tins, as well as some of the special order items. Sodium Nitrate FCC - for those jerky makers who want to make their own cure and more. 16 oz. 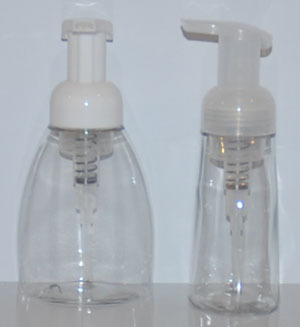 Clear PET Bullet Bottle - the newest addition to our popular Clear PET Bullet/ Cosmo Round line of bottles. 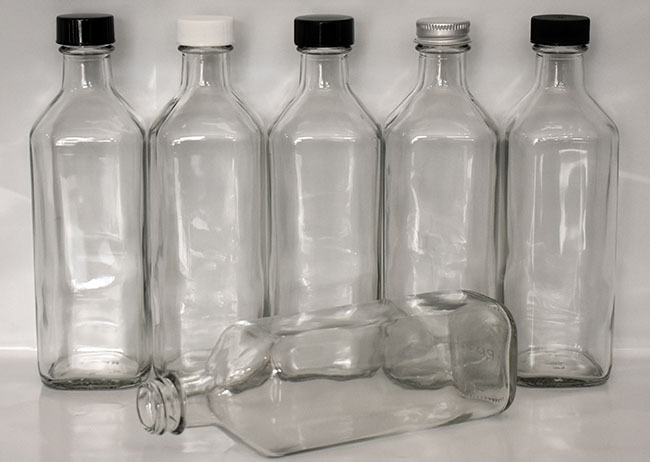 With a 24-410 neck this bottle takes the same wide selection of closures as the 8 oz. size. As these are larger bottles and we can't fit a dozen in a bag, they will be sold in a 10 pack as well as the original 162 unit case. 28 oz. 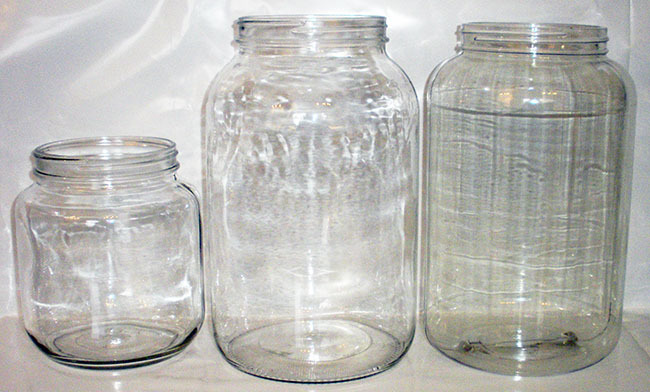 Clear PET Jar - also referred to as a "Peanut Butter" jar. Perfect for packaging bath salts, scrubs and more. Ideal for use in the kitchen pantry or lab for storage of dry goods, herbs etc. These jars come packed in a nice small case of 12, additionally we offer a 10 case pack size. 83-400 White PP Fine Rib lid PS22 lined - These lids fit the 28 oz. 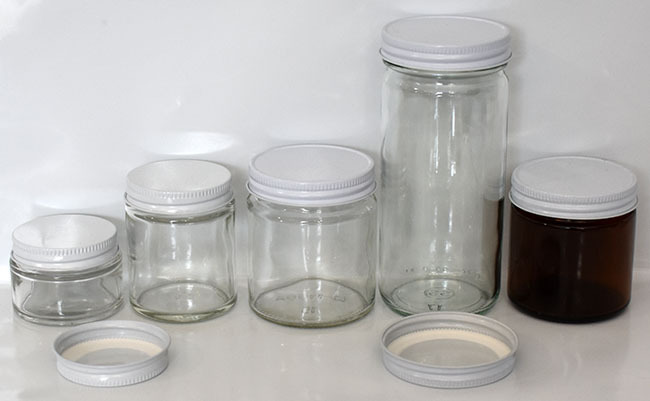 PET jars as well as other containers with that 83mm neck size. Aloe Vera Extract, Baking Soda, Calamine Powder USP, Calcium Carbonate, Cocoa Butter, Coconut Fine (formerly called Coconut Powder), EDTA, Epsom Salt, Lanolin, Polysorbate 20, Fine Sea Salt, Natural Shea Butter, and Xanthan Gum. Aloe Vera Extract is the star product for summer! 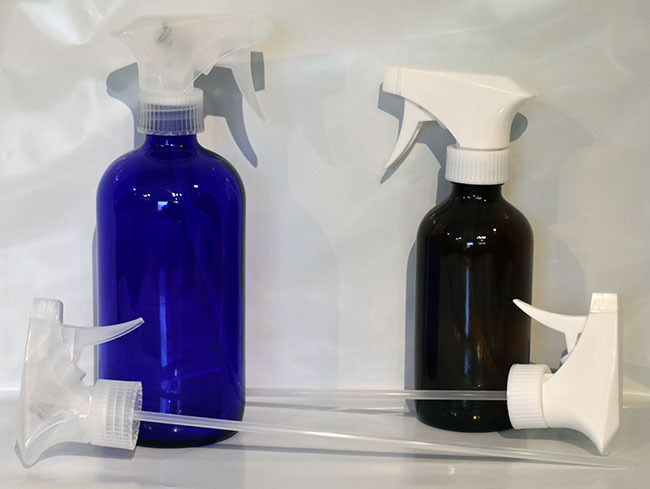 Packaged in a spray bottle (try one of our new clear PET cylinder bottles with a natural mini trigger sprayer) it is a skin saver for after sun care. Spritzed full strength on the skin it can provide double relief from sun burn as a spray on no rub in product. Used as a primary ingredient in a formulation with other healing or moisturizing ingredients, essential oils, distillates and more, the possibilities are endless. As we import this directly from the processor we have the best prices on the best product! Calamine USP Powder is now available in a 10 kg bulk size. Cocoa Butter now comes packed in 2.5 kg (5.5lb) pails. We still repack down to 500g and 1 kg sizes, but now big bulk savings are available on these small pails that are original packs from the manufacturer. Although the 25kg block is no longer available, we still offer even higher bulk savings on this size which will now be 10 of the 2.5kg pails. Coconut Powder has had a name change to Coconut Fine. This is the same fine flake desiccated macaroon coconut we have carried for years. Polysorbate 20 is an excellent choice for a food grade emulsifier to incorporate water soluble sweeteners into oil based formulas like lip balms, lip butters, lip glosses, edible massage oils and more. 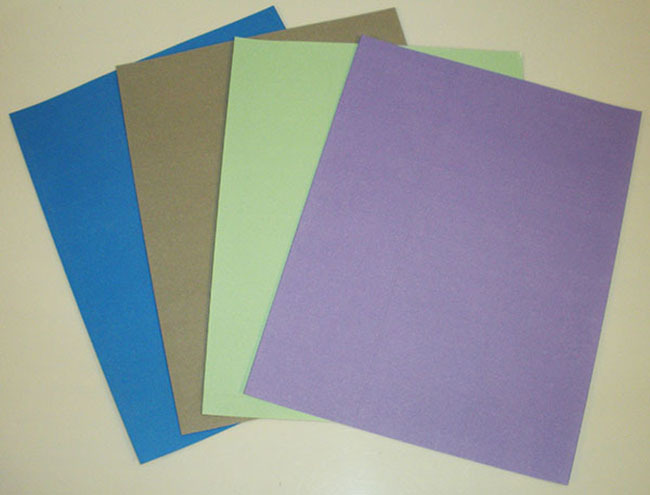 Polysorbate 80 can be used in the same way. This product was formerly only available as a special order item by the bulk pack case, but is now a regular stock item and packed fully assembled in a smaller 48 unit case. Rosemary Oleoresin Extract has had a price increase. 4 oz and 8 oz Clear PET Jars have had a case quantity change and new lower pricing. We will be closed from December 22, 2008 - January 2, 2009. All orders placed during the holidays will ship when we reopen Monday January 5, 2009. Have a happy and fun filled holiday & all the best in 2009! Our Shipping Info page has now been updated. We now offer shipping by Priority Courier for our Canadian clients that need a service a little faster than Xpresspost. Priority Worldwide USA is now available to our US clients who need a service faster than Xpresspost USA. Patchouli Fragrance, most of the Packaging category. All the .pdf price lists on our Downloads page have been updated. 25 ml Amber Glass Jars will be back in stock next week. Our existing grapefruit oil has been renamed White Grapefruit Oil to distinguish between the two. Bentonite Clay, Red Clay, White Kaolin Clay, Coconut Oil RBD, Pumice, Pyrophyllite, Sodium Carbonate, Talc, Roman Chamomile Oil, Coriander Seed Oil, Rose Geranium Oil, White Grapefruit Oil, Lemon Oil, Myrtle Oil, Peppermint Oil, Rosewood Oil, Tea Tree Oil, Organic Tea Tree Oil, Vetiver Oil, Ylang Ylang Extra Oil. Almond Oil, Arnica Oil, Fractionated Coconut Oil, DPG, Glycerin, Grape Seed Oil, Natural Vitamin E, Vitamin E 20% in Almond Oil, Witch Hazel Distillate. The 50 ml Amber Glass Jars did finally arrive at the end of August, we have lots in stock. Unfortunately we are still waiting on the 25 ml Amber Jars and at this time we have no ETA. Please note our Summer Holiday shipping schedule is as follows: We will be closed for holidays July 23 through August 8, 2008. Deadline for shipping Tuesday July 22 is noon on Monday July 21. Orders placed during the holiday will be shipped when we reopen August 11. We hope this won't inconvenience our clients, so if you will be needing supplies during the last week of July or first week of August, please order in the next couple of weeks to avoid any delays. 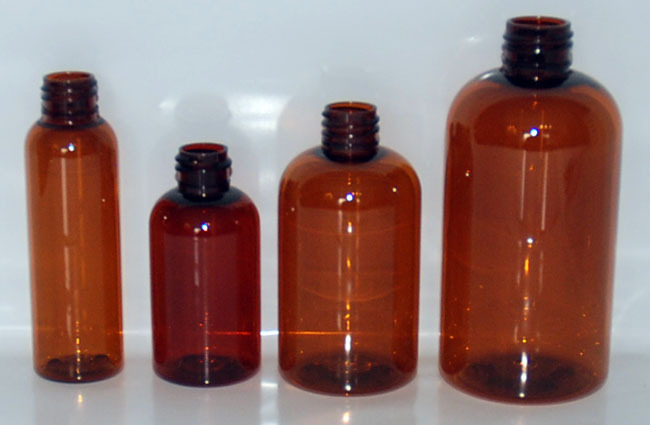 Pyrophyllite, Amber Glass Jars, 4 oz Clear PET Boston Round Bottles, Blue PET Oval Bottles. In addition we have renamed the 110 ml Flint Hex Jars to 90 ml as that is their actual and maximum capacity. The new stock of Organic Dulse Powder has arrived and is a much finer powder than we've had before. It's now an 80 mesh size fine powder consistency like flour. The Organic Dulse Flakes we had in stock while we were awaiting the new fine powder to arrive is now in the Clearance category. The ETA for the 25 ml and 50 ml Amber Glass Jars is they are expected to land here in August. As the pricing has been updated on the web site and we are still hearing the same arrival time frame with no further delays, we are now accepting pre-orders on case quantities of these two jars. This is to assure we allot enough stock to immediately fill orders for clients who have been waiting on these for some time now, or those needing to order them in the next few weeks prior to them being back in stock. We will be closed for holidays July 23 through August 8, 2008. Last shipping day will be Tuesday July 22, cut off for shipping that day will be noon on Monday July 21. Orders placed after that and during the holiday will be shipped when we reopen August 11. Please plan your ordering accordingly. Borax, Silk Mica, Stearic Acid, Titanium Dioxide - W and Zinc Oxide, 25ml and 50ml Amber glass Metric Round Bottles. 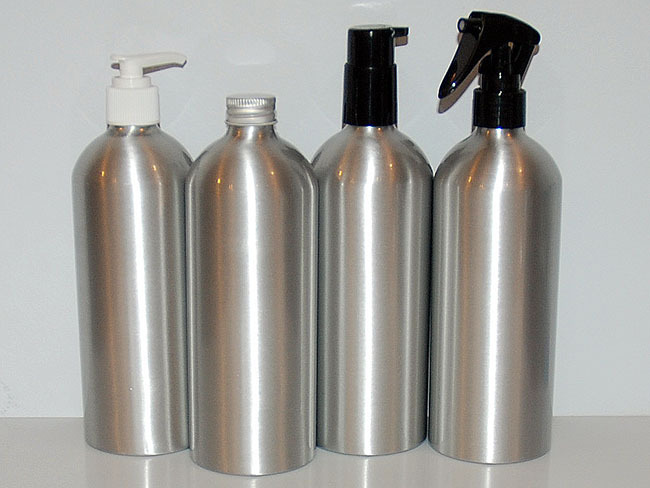 We are now carrying three sizes of aluminum bottle; 60ml, 120ml and 250ml (2, 4 and 8 oz). Pumice Powder has had a price increase. We have a new Flint (clear) glass Hexagon shaped jar in stock, sold with a gold metal plastisol 43 twist lid. This 30ml jar is sometimes called a 45ml, but has an actual capacity of about 37ml. Designed for food use with heat sealing, but may be used to package other products where an airtight lid isn't crucial (if not heat sealed). Perfect for smaller sizes of jams, mustards, sauces and much more. Our Links Page has been updated. Did you know that you often get more than the stated amount as we fill the bottles up, rather than just to the stated amount fill line? Our web site shopping cart pages are now compatible with Mozilla Firefox and Apple Safari web browser programs. Thanks to a suggestion from a helpful visitor to the site, the problem of the pages not displaying properly was solved with a tiny snippet of code. Patchouli Oil has had a price increase. The small pack size for P138 8 oz RB DW Jars has changed and P138A is now a 12 pack. We will be closed from December 24, 2007 - January 4, 2008. All orders placed during the holidays will ship when we reopen Monday January 7, 2008. Have a safe, happy and fun filled holiday & all the best in 2008! We have brought in a large stock of this limited quantity item. The 24-410 Black Lotion Pump new stock is a saddle head style with a 7.3 inch dip tube. P147B, the case quantity, has already changed over. P147A will change over after remaining stock of stylized style with 7.5 inch dip tube are sold. The saddle head style one will be the standard one we stock from now on. Other than that everything is the same. The case quantity and prices are the same as before. Aloe Vera Juice has been discontined. Our Ingredient Info and INCI Ingredient Names pages have been updated, including the product data and ingredient lists for Seaweed Extract, Hair Conditioner and Seaweed & Aloe Gel. we now carry two Titanium Dioxides, including the water dispersible version. We've renamed both our solid coconut oils for clarity. Coconut Oil is now Coconut Oil RBD. Virgin Oil de Coco-Crème is now Coconut Oil Virgin. Both oils have had their prices updated. Xanthan Gum has had a price decrease. EDTA, Emulsifying Wax and Shea Butter Natural have had slight price increases. Our Ingredient Info page has been updated, including the product data for the following products; Aloe Vera Extract, Allantoin, Coconut Oils, Titanium Dioxides and Xanthan Gum. Eucalyptus Smithii is now from South Africa, Frankincense is now from India and Valerian Root is now from Belgium. Jasmine Absolute was Jasmine officinale, is now Jasmine grandiflorum. Garlic, Sage, Sandalwood, Sandalwood 10% in Jojoba, Spearmint, Tea Tree, and Organic Tea Tree. This new sifter fits our 4.5 ml clear round jars (with white, black, clear, or black trimmed clear lid), and the new 12 ml bottle. This sifter fits the new 8 ml jars, and also fits our 10 ml Clear Square Jar and our ¼ oz Shallow Tin. Both these new products will accept the new 26 mm sifter. Both these new jars will accept the new 35 mm sifter. 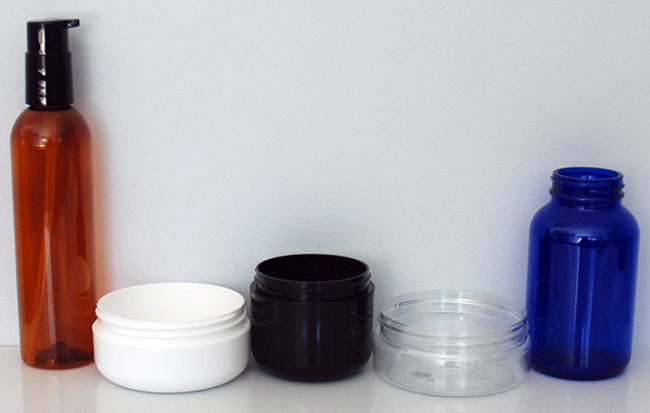 These tiny polypropylene jars are available in three colours. Perfect for samples, lip products and more. Glyceryl MonoStearate SE is now available in different sizes and at a new low price. The Iron Oxides and Ultramarines are now available in a larger pack size. ½ Dram Amber Vials are now sold without caps, the 8-425 caps they take have already been available separately. 8 oz. 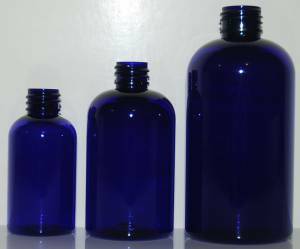 Blue PET Oval bottles now have a 24-410 neck size and the case quantity has changed to 255. Rosemary Extract is now called Rosemary Oleoresin Extract. New stock is higher carnosic acid content for increased effectiveness. Comfrey Root Powder has been discontinued. These are the same jars as the popular 4.5 ml ones we've carried for years but they are now available with clear lids. 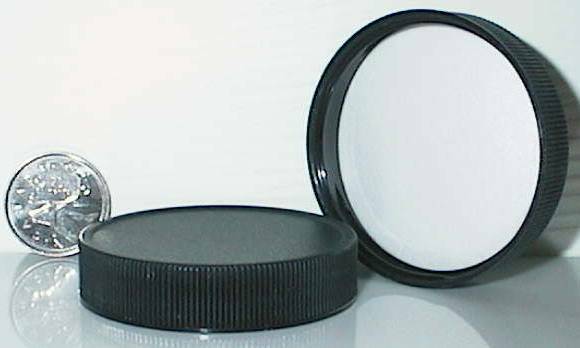 With this you can make the 25 ml jar into a sifter jar, perfect for mineral makeup. This sifter also fits some of our other jars; 1/2 oz. 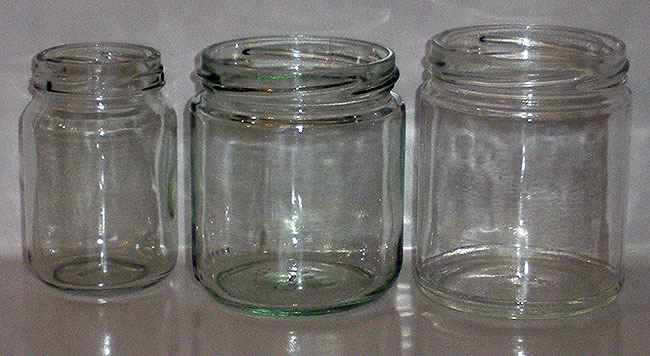 Double Wall jars and 2 oz. Clear PET Jars. This white velour cosmetic puff has white satin on one side and fits the 48 mm Sifter. We added the Natural colour last fall, now we carry all three colours of fine mist mini trigger sprayers. This treatment pump is a regular stock item. Unlike the limited quantity one we've carried for some time now, this one has a cap (hood). The dip tube length is shorter however, at 3.75 inches it is long enough for all the 1 oz. and 2 oz. bottles they fit, but the only 4 oz. plastic bottle it is long enough for is the PET Boston Rounds. 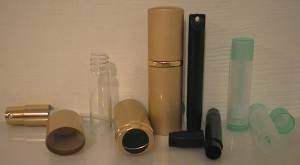 While stock lasts we will have these gold inside, metal collapsible tubes that are perfect for packaging all kinds of creams, ointments, pastes, rubs and more. The larger 3.5 oz one comes with a black cap, the 1 oz. white tube comes with a white peircing cap. Don't have the special crimping tool to seal the bottom once they're filled? Needle nose pliers and other tools can do the job. Mocha Latte Fragrance has been discontinued. A new Certified Organic subcategory under Essential Oils has been created. 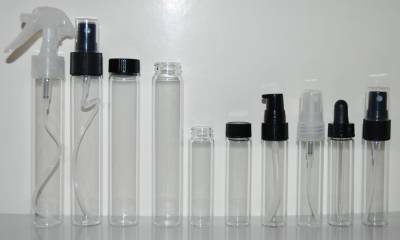 These new vials have standard 24 & 20 mm neck sizes allowing for a wide variety of closure possibilities. 24-410 Black Glass Dropper Cap for 4 oz. 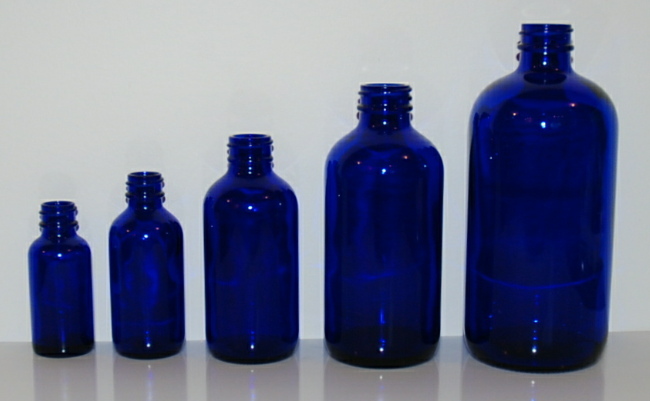 Cobalt Blue Boston Round Glass Bottles. 13-425 Black Phenolic Cap with a vinyl liner. 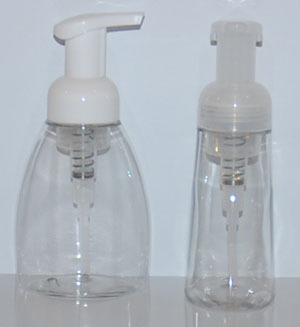 The glass bottles and white HDPE packer bottles in the Special Purchase category are now sold without lids. P010B 1 Dram Flint Vials have had a case quantity change and are now sold in a case of 144. P073B 500ml White HDPE Jars have had a case quantity change to 168. 1 oz. & 4 oz. Deep, and 4 oz. Shallow style tins have new lower pricing. Most of our web pages have been updated, including Ingredient Info, Links, Glossary and How To Order. 1.67" Round is now called 1.63"
2.69" x 2" is now called 2.6" x 2"
All the packaging subcategories are now displayed in expanded format with the photos and descriptions. The main Packaging category remains in line item format for quick reordering. 30ml & 60ml sizes have a 20-410 neck bottle, 120ml & 250ml have a 24-410 neck, 500ml & 1L have a 28-410 neck. 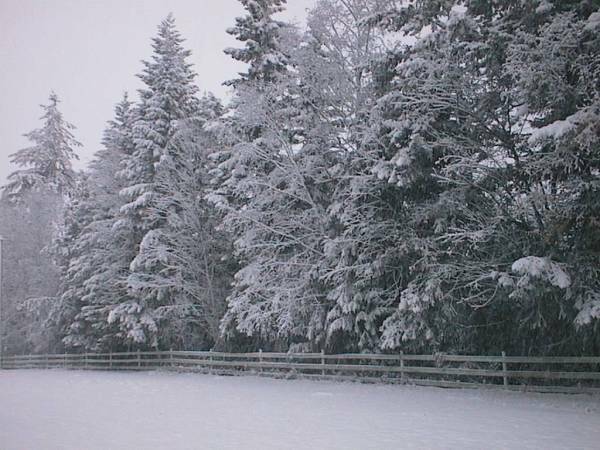 Please note we are closed for the holidays December 18, 2006 to January 5, 2007. Orders placed over the holidays will be shipped when we reopen. 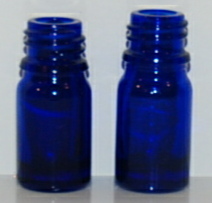 2 oz, 4 oz and 8 oz Blue PET Bullet Bottles. A new payment method has been added. Interac Email Money Transfer is now available for all our Canadian clients. Complimentary copies of the current edition of Aromascents are now being included with all orders. Clients that order regularly may receive multiple copies, if so please pass these along to associates or customers. Please note we will be closed for holidays July 24 to August 7, 2006. Deadline for shipping Friday July 21 is Thursday July 20 at 10 am. If you're going to be needing anything at the end of the month or the first week of August please get your order placed before the 20th. Otherwise, orders placed during the holiday will be shipped when we reopen. Price lists in PDF file format are now available on our Downloads page. Bank deposit at TD Canada Trust is now available as an alternate payment method to money order or cheque. The payment options have been updated in our ordering system so that Onfile, Offline, Money Order, Cheque and Bank Deposit are all now separate. Our Policies or Terms and Conditions page has now been updated. A new Essential Oils Info page has been added to the site that contains links to PDF data sheets for most of the eo's we carry. A new navigation bar has been added to the site to provide one more way to navigate both the product categories in the shopping cart and then info pages. Our old Bulk Cosmetics & Soap category has been overhauled and is now the Spa & Bulk Bases category. Some of the products have had their ingredient lists updated, and all the product descriptions on the shopping cart now contain a description and ingredient list. The remaining stock of our handcrafted bulk soap bars have been reduced in price and moved to the Clearance category. Our 1/4 oz. and 6 oz. White Double Wall jars remain stocked in Square Base style only. All the other sizes; 1/2 oz., 1 oz., 2 oz., 4 oz., and 8 oz. are now stocked in both Round Base (RB) and Square Base (SB) styles. We were no longer able to obtain the same Kelp Powder we carried before so that product has been replaced with Kelp Bladderwrack Powder. The rose hip powder is also from a new source. The new stock is a very fine powder and a rich golden colour, much like green tea extract in appearance. Please note it is only the sachets that are no longer available. The mask is still sold in the tubes, the glacial clay mud in spa bags and pails, the glacial clay powder in bulk. This new category contains "garage sale" items that are priced to sell fast. If it goes well and proves popular we will be adding new items and keeping that category going. These latest additions round out our line of amber glass bottles. The 1 oz. Amber Boston Round has a 20-400 neck but will accept 20-410 size closures including sprayers. It can also be combined with with a glass dropper cap, the P190 20-400 Black Glass Dropper Cap for 1 oz. fits this bottle. The 25ml Amber Metric Round has the same size neck and will also accept 20-410 size closures including sprayers. The 50ml Amber Metric Round also has a 20-400 neck and will accept 20-410 size closures including sprayers. It can also be combined with a glass dropper cap, the one that fits the 2 oz. Cobalt Boston Round, P191 20-400 Black Glass Dropper for 2 oz., works with this bottle. The 100ml Amber Metric Round has a 24-400 neck and will also accept our 24-410 lotion pumps and the white and natural sprayers. It will not accept the black sprayer (P123). The 2 oz. 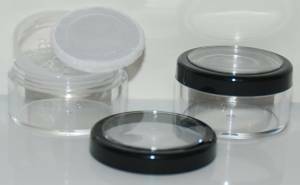 Clear PET Jars have a 48-400 neck size and we stock both white and black lids that size. The new 28-410 white dispensing closures fit both our 500ml and 1L size HDPE Cylinder Bottles as well as other 28mm neck bottles. The Trigger Sprayer has an adjustable nozzle with three positions; Off, Spray and Stream. The Lotion Pump is saddle style. The addition of these new 18mm neck dropper bottles rounds out our lines of cobalt and amber glass dropper bottles. Both lines of dropper bottles are now stocked in 5ml, 10ml, 15ml, 30ml, 50ml, and 100ml. 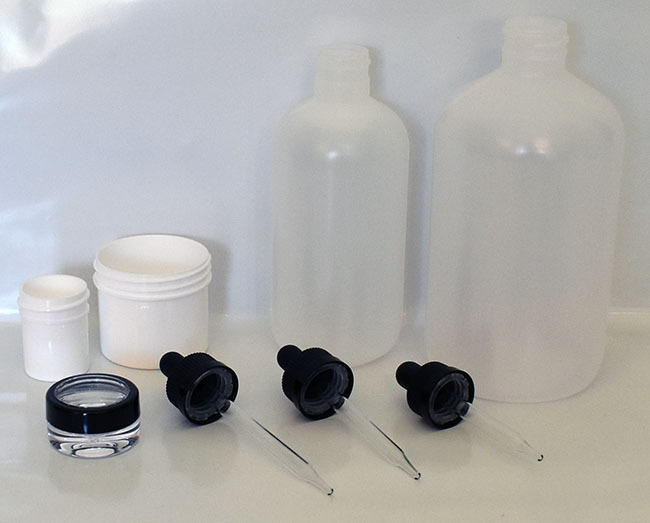 They will accept the 18mm caps with vertical dropper inserts as well as other 18mm closures like sprayers. 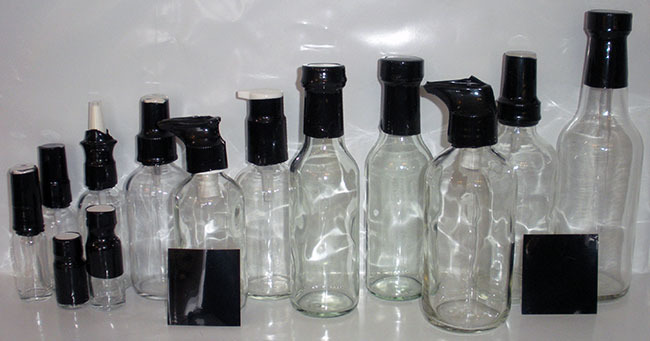 The Amber Winchester bottles (far right) have a 20-400 neck and will accept a variety of closures, including 20-410 size sprayers and other closures. As soon as stock arrives we will also be adding 25ml and 1 oz. Amber Boston Rounds, 50ml and 100ml Amber Metric Rounds. The 25ml, 1 oz. and 50ml all have 20-400 necks, the 100ml is 24-400. These bottles and jars can be used to package all kinds of sauces, dressings, vinegars, oils, hot sauces, marinades, pickles and gourmet foods. All are sold with a lid except the Fluted Sauce Bottle which takes a standard 38-400 lid. Sifter fitiments for the Woozy bottles will be added once stock of them arrives. Our Packaging Info and Download pages have now been updated. We hope to have a .pdf downloadable catalogue available soon. The Special Purchase category of packaging has now been updated. Many of the items on there are now stock items or being added very soon, so this category is a bit smaller now. A new Contact Us page has been added to the site to make finding contact information easier. All our "orphan" pages on the web site have now been replaced with a template similar to our index page. If you arrived at our site via a link that still exists on the web to an old obsolete web page on our site, you may have seen a different page than you expected. Photos of all the packaging items, as sold, are now on the web site. There were some containers that had photos with closures on even though they are not sold with a closure, and some of the lids had no photos. Now all the packaging photos are correct, and can be seen by clicking on the product code. We hope this will help with any confusion. All our citrus oils are expressed with the exception of Lime Oil Distilled. Skin Renew Cream has been discontinued. We will no longer be doing any manufacturing, so the other two bulk cosmetic products that we make will also be discontinued once remaining stock is sold, Lotion and Aloe Vera Cream. Several of our INFO Pages have been updated including Cosmetic Ingredient Info, INCI Ingredient Name Translator and our Links Page. ARP 100 is now sold out and no longer available. The nail polish bottle set has been split up for sale in 3 pieces. 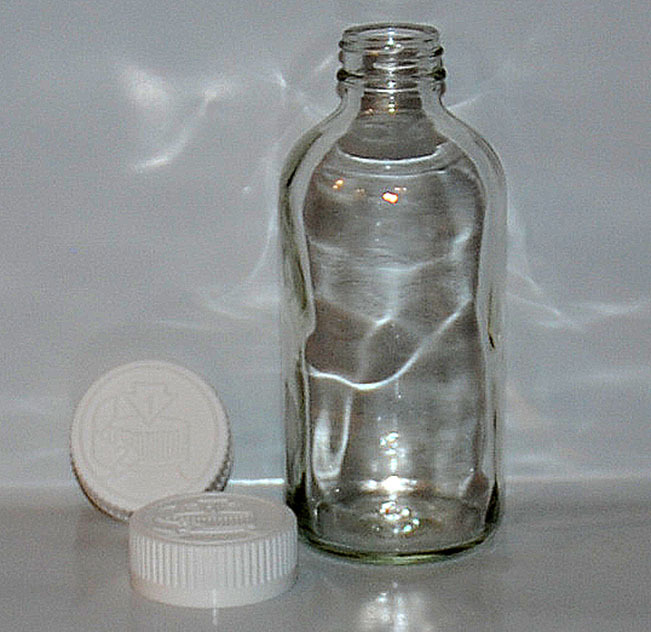 The bottle retains the same product code (P174) and is now called a 1/4 oz. Flint Cylinder Bottle. The cap and brush are now sold separately as P266 28mm Nail Brush Insert and P267 13-415 Black Tall Ribbed Cap. The 1/4 oz. 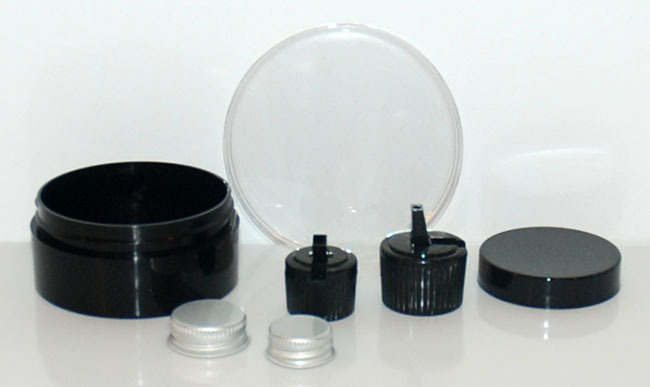 bottle will accept some other 13mm closures, including a 13mm orifice reducer and 13-425 black cap. It will not accept the 13-425 glass dropper cap as the pipette is too long for this short bottle. 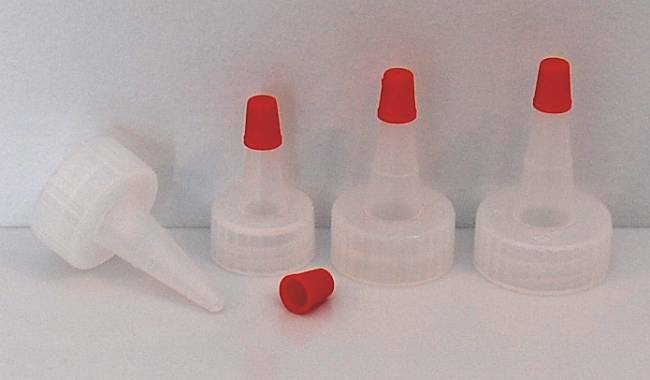 The black tall ribbed cap will fit other 13mm neck containers we carry including the dram vials and 10ml PVC vials. The nail brush insert and tall cap could be used together on the 1 dram vial if desired, but the brush will only reach halfway down the vial. The entire Packaging category has been updated. Some of the names have had the abbreviations changed back to full words to help identify the products easier. Other corrections have been made for accuracy. The product photos are once again viewable on the product's pages in the shopping cart. So photos of any packaging items can be viewed on the product's pages by clicking on the product code. The Packaging Info pages have been changed accordingly. The Continuous Thread Closures have been subcategorized by colour, white or black. The organic salts are no longer packaged in 25kg bags, they are now sold in 12.5kg bags. The Cold Cream is now sold by the litre and in a new 20L pail size. The 500ml size has been discontinued. Orange Peel Powder, the Scent Sprays, the Hemp Shampoo, Hemp Hair Conditioner and the Pinkhouse Soapworks labelled soap have been discontinued. Our handcrafted soap is still available in bulk without labels in the Bulk Cosmetics and Soap category. The move to Salmon Arm went smoothly and our shipping resumed from our new location on October 11th. Painting, shelf building and a lot of inventory to unpack and organize meant it was 4 business days later than planned. Our new building is working out really well though. We've also been surprised by other quicker than expected delivery times with Canada Post lately. One example is a shipment to South Carolina by Expedited-USA was quoted as 12 days, yet was delivered in 4 business days. Our shipping schedule will remain the same, Tuesdays and Fridays. Please note our cutoff times have moved back a couple of hours, to 10 am Pacific time Mondays for shipping Tuesdays, 10 am Thursdays for shipping on Fridays. We have some other Black Treatment Pumps in stock that have no hood/overcap (LQ008) and are 5 cents cheaper at the moment and hope to have a good replacement with a hood in stock someday. Oshun Supply is now closed for our big move. Please bear with us as we try to get settled and back to normal as soon as possible. Orders placed during this time will be shipped ASAP from our new Salmon Arm warehouse. Oshun Supply will be moving soon to a new location to serve you better. We're really excited about our new home and town, and thrilled with our new warehouse building. With more space we'll be able to offer our clients some exciting new products and hold even more inventory on hand for continued fast & complete shipping of orders. In order to do this big move (literally tons ;-), we'll need to close for a few days. We're keeping the time closed short, so as to cause as little disruption in order processing as possible. We apologize for any inconvenience this may cause. We will be closed for moving from Monday September 27th to Friday October 1st. Our last shipping day from our Mission location will be Thursday September 23rd. Orders will need to be placed on the web site prior to the Noon Wednesday September 22nd cut off time in order to be shipped on the 23rd. All orders received after the cut off will be shipped from our new location after we reopen. Shipping will resume from our new Salmon Arm warehouse on Tuesday October 5th. With our relocation to the Shuwap, some of our clients may experience a one day change in their delivery times. Clients on Vancouver Island and in the Greater Vancouver / Fraser Valley areas will likely see an increase in shipping time by one day. Our clients in the Okanagan, Northern BC, other Interior BC areas and Alberta will likely see their orders arrive a day faster than before. For our clients in the rest of Canada and the USA, there will be no change. Oshun Supply will soon be relocating to serve you better. We are very excited about our new location and looking forward to moving into our much larger warehouse building. With no longer being so limited for space, we'll be able to add a number of new products as well as hold even more inventory on hand for continued fast complete shipping of orders. As soon as we have a moving time frame, all our clients will be notified and it will be posted on the main page of this web site. We will try our best to limit the time we need to be closed for the move, so that there is the shortest possible delay in shipping orders and return to business as usual. Our line of sprayers and smooth disc tops are now more complete with the two common sizes, 20mm and 24mm available in three colours, black, white and natural (clear). All dip tubes in our sprayers are of a length long enough for the sprayers to work on all bottles that they fit. 1/4 oz. 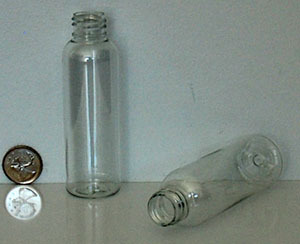 Flint Glass Cylinder Bottles with a 20mm neck. These bottles are similar to a dram vial, have a capacity of 4 drams or 9ml, but are much thicker glass. Ideal for many applications with their common neck size allowing many different closure options. These bottles will even take a sprayer if you want to trim the dip tube to fit. 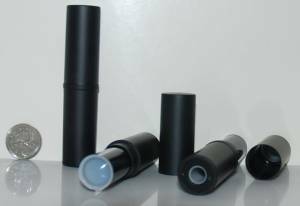 20mm Black Treatment Pumps - these ones have no hood, but a long enough dip tube to work on 4 oz. 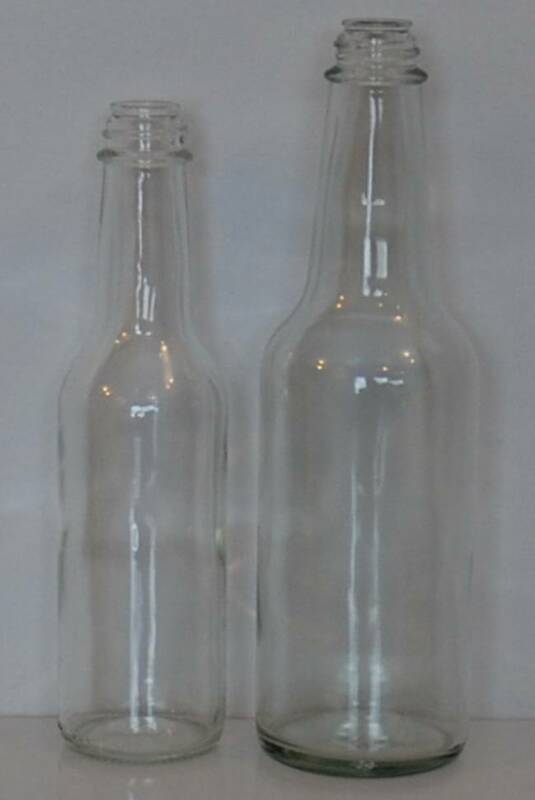 clear PET bullet and blue oval bottles. Our 15ml, 30ml and 50ml Amber Glass Dropper Bottles are now available in 12 packs as well as by the case. We are now again accepting payment by money order and cheques. Clients using Mac computers may experience problems ordering if using Internet Explorer for their browser as there seems to be problems with the latest security patch. Until the bad patch is fixed, Netscape will work properly. These products were formerly in our special purchase category, but are now stock items. The bulk sizes for the chamomile and oatmeal have also changed. The bulk size of this product has also changed. Castor Oil, Fractionated Coconut Oil, Grapeseed Oil, IPM, Macadamia Nut Oil, Sunflower Oil. P259B 89-400 Black PP FR PS22 Lid is now a 375 Unit Case. This new page contains questions we often receive and answers to them. If you're having a problem completing your order the solution can be found on this page. If you're wondering about the security of our site and your private information, please see this page. Catnip Oil 10% in Jojoba. Expedited - USA has finally been added back to the Canada Post shipping software, and is no longer a manual service. This means clients in the US having their orders shipped by Expedited will now receive the automatic shipment notifications and tracking info as all the other methods do. We have switched to a new Security Certificate for our web site. You'll now see that we have a GeoTrust True Site icon that you can click on to verify our site's security. We also still stock the fully Refined Shea Butter for applications where low/no odour/colour is required. P244B 53-400 White PP FR Lid - now in a 1575 unit case. P246B 58-400 White PP FR Lid - now in a 1275 unit case. Our Packaging & Accessories categories have now been all updated and separated. With the exception of a few items that are sold with their closure, most items are now sold separately. Bottles/jars and closures will have to be ordered separately. To make ordering packaging easier, we have created a new Packaging Information page on this site. Some Special Purchase Items have been deleted as they were items that were stock but sold differently than our standard packing. They are no longer needed as the packaging items are now sold separately giving you endless possibilities and combinations. We have a number of new packaging items either in stock or on their way, but we will be adding them in a few weeks when the packaging category is redone. Egyptian Geranium oil has gone up in price. Stearyl Alcohol has had a significant price drop and we are now stocking Stearyl Alcohol NF that is all vegetable base. We have replaced our stevia extract 90% with a much higher quality stevia extract. The Stevia Extract we are now stocking is 95% extract, with a Rebaudioside A content of 80%. The new Liquid extract is a liquid form of this 80% Reb A extract. We've also replaced our stevia leaf powder, which has seen a price reduction and is now 80 mesh. 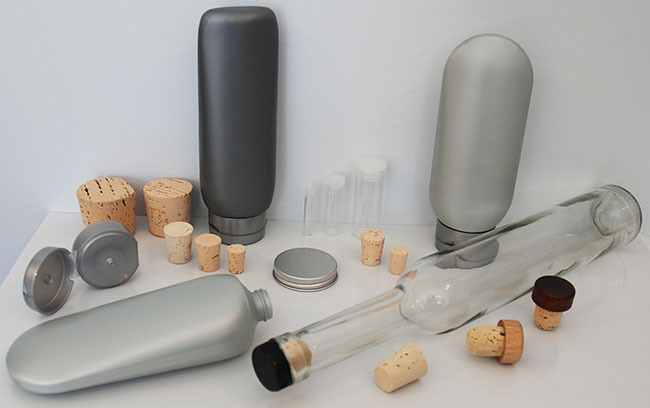 We are no longer able to source aluminum bottles in less than truckload quantities. At this time we have discontinued the 4 oz. and 6 oz. as we no longer have any stock. We still have remaining stock of the 2 oz. size, they too will be discontinued once remaining stock is sold. We are still looking for a solution to this issue. We hope to add the aluminum bottles back at some point in the future. Back in August we started using Canada Post's Electronic Shipping program, the EST. One of the great features of this program is that automated shipment notification emails are sent out by Canada Post when we ship an order. This email not only tells you your order has been shipped and the details, but also contains the item number(s) and a link to obtain delivery confirmation (tracking). The exception is Expedited - USA (formerly Suface Parcel) which unfortunately is a manual service and thus no shipment notification emails are sent. For details about various shipping methods and their options, please see our Shipping Info page. The first week of our being closed for "holidays" is actually for uploading all the product updates to the web site. As well, associated pages like the Ingredient Info, INCI, How To Order, Downloads and this one needed to be updated. Over the past four months, as time allowed, we've updated our product files with current costs. This was long overdue as several whole categories of products, including hundreds of products and thousands of line items, had not been updated since they were uploaded two years ago (since we've been using Miva Merchant for our WebWarehouse shopping cart). During this time our suppliers had increased prices, imposed currency surcharges, fuel surtaxes and in rare instances, lowered prices. Once we had our costs and prices updated offline, we found they were very competitive. We want to be your one stop supplier for all your cosmetic ingredient and packaging needs, so be sure to check and compare our prices now that the update on the web site is complete. We now have a downloadable, up to date Wholesale Price List available. Please see our Downloads page. All categories of our product catalogue have been updated on the web site, except the Packaging & Accessories (which has already been updated) and the soap. Products, prices, sizes and product data have all been updated on the web site. Our Cosmetic Ingredient Information page has been updated. Some smaller sizes of the weight category have been discontinued, but prices on the larger sizes have come down. We've been able to bring many of our prices down, a few products have increased, and many have stayed roughly the same. In the process, we have created many more sub-categories to make it even easier to find the products you need. Where there is remaining stock of discontinued items, they have been moved over to a new cateogory at reduced clearance pricing. Kelp Powder has been replaced with a finer powdered Atlantic Kelp. We also have some 30cc White Lotion Pumps with a 38/400 neck and 11 inch dip tube to fit gallon or 4L jugs arriving soon. We will be closed for holidays July 21 - August 8, 2003. Orders placed during the holiday will be shipped August 12. If the Canada Post labour dispute is not settled by the time we reopen, we will use alternative shipping methods as necessary. Benzaldehyde FCC and Borage Oil. Now available for download is our new Enhanced Soaper's Workbook. As well as Saponification Spreadsheets in standard and metric measurements to calculate soap formulas, it also includes a Cost and Formula sheet to calculate batch costs and formula percentages. The Cost and Formula sheet can also be used for other cosmetic formulas like lotions. In MS Excel file format. 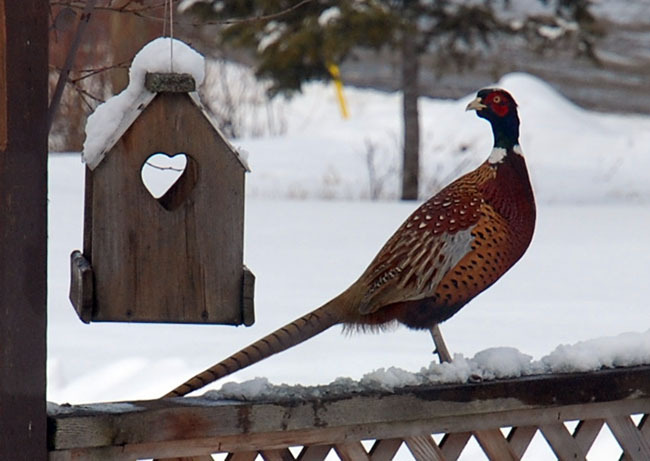 We are now using Canada Post's Electronic Shipping Tools (EST). As a result, we have been able to add new, even faster methods of shipping for those times when speed is everything. Details are on the shipping screen when you complete your order. We have also added a new Shipping Info page. A new Limited Quantity Items category has been added to the site. This category contains products that are in stock and ready to ship, but are available in limited quantities only. If response on an item is good and we can get more stock, we will, but most items will only be available while supplies last. Due to the number of emails we've had telling us the black text was too hard to read on our plum background, we have now changed our font colour to white throughout the site. There are a few drawbacks of this, mainly that one can't print white text. So for those pages we know you might wish to print out for reading later like our ordering policies, ingredient lists and INCI names, we have left those in black text on a white table background. Our Links, Company Info and Ordering Policies pages have now been updated. Some additional tips, hints and instructions have been added in the headers and footers of the various order completion pages to assist you further and hopefully help clear up any confusion. We have had a corporate name change. Oshun Spirit Arts Ltd. is now Oshun Supply Inc. We made this long overdue change so that the corporate name more accurately reflects what we do. Everything else is unchanged. We are still owned and operated by the Gagnon family. We have now added a new subcategory under the Packaging & Accessories category called Special Purchase Items. This category contains many items we have been bringing in special order for clients for years, as well as many of our stock items sold with different closures or without any closure to give you more options and choices. It also contains many other items we have access to but no room to stock at this time. While some of these products are variations of stock items and able to ship immediately, most are special order and not carried in stock. Lead times apply. To speed up order processing, reduce labour and time in order picking and organize our inventory better, we have gone to small packs / dozen packs with most of our packaging items. Most items are now sold in dozen packs (or small pack sizes appropriate to how they come or what fits well in a bag) and the case sizes, rather than in individual quantities. To determine your cost per unit or compare savings on buying the larger pack sizes, simply divide the pack/case price by the number of units it contains. For example: 1oz. 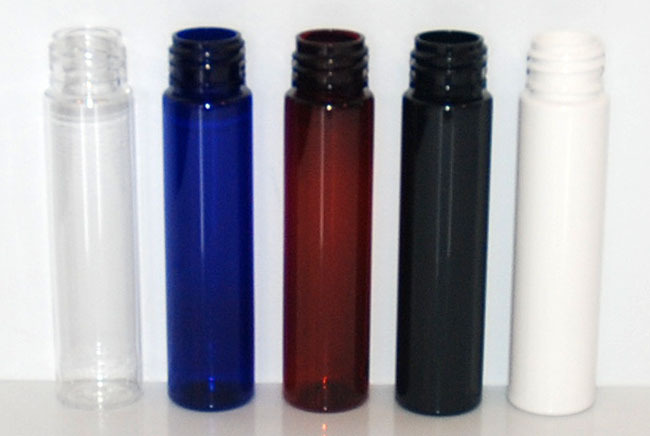 Cobalt Bottles with a phenolic cap are $1.04 each when purchased by the dozen pack, but only 0.78 cents each when purchased by the case (12.48 divided by 12 = $1.04, 187.17 divided by 240 = $0.78). As always economy of scale applies, your cost per unit/measure will always be less when purchasing in the larger quantity/size. We now have two new domains: www.oshunsupply.com and www.ingredientsandpackaging.com that you can access our web site through. Our Cosmetic Ingredient Info, Product List and INCI Name pages have now been updated. Photos of the Glitters and Micas can now be found on our Colours page. Photos of the new lip balm vials, 10g clear square jars and white jar discs are also up on the web site now, on their own pages in the WebWarehouse. The type of borax we are carrying now is different that what we have stocked in the past. For information please see our Cosmetic Ingredient Info page. We have discontinued P085, the black lotion pump with the shorter 5.94 inch dip tube and are now carrying one 24mm lotion pump with a 7.5 inch dip tube, that will fit all 24mm neck bottles. This pump has a long enough dip tube for the 8 oz. 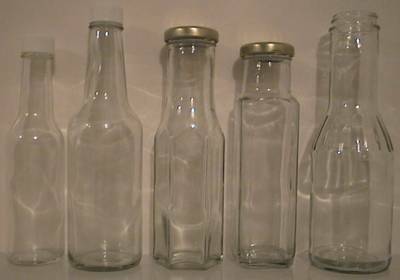 PET bottles, but the mechanism is narrow enough to fit inside the necks of the 4 oz. 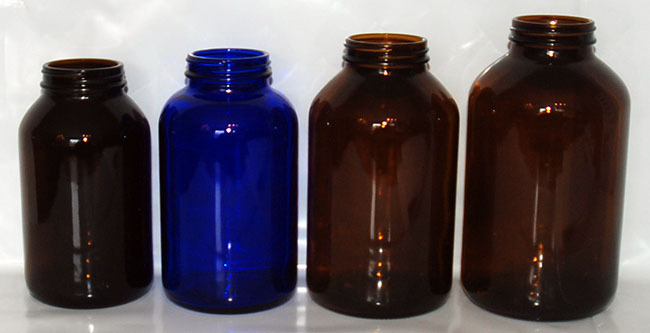 cobalt glass bottles. The dip tube can be trimmed to fit the bottle as needed. This is very similar to the saddle style pumps we stocked in the past, but is called Stylized, and has a slightly flatter, wider, more upscale looking nozzle on it. Our Fall 2002 printed Wholesale Price List is now completed and shipping out with all orders. If you're not ordering yet and would like us to send you a copy, please go to our downloads page to request one be mailed to you. The downloadable copy of the file we used to print this price list is also updated and available for download in Lotus 123 spreadsheet format. Our minimum order is now $100. The linalool type Basil Oil from France has been discontinued as we no longer have a source for it. We still stock the Basil Oil from India. With some regret, the body care line we started this business with has now been discontinued. Celestial Mermaid products are no longer available. All the products are however available in bulk in one form or another in our Bulk Cosmetics category. While our Celestial Mermaid brand may appear again someday, we have decided at this time to concentrate on our business of cosmetic ingredients and packaging. We feel it is best to concentrate on and not be distracted from giving our full focus to the main part of the business. We thank those of you who have supported the CM line and hope that it's demise will not be an inconvenience. 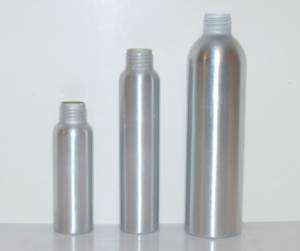 All three sizes of the aluminum bottles have the same neck size of 24/410. Glycolic Acid 70% Solution, Polysorbate 20, Allantoin, Beeswax Beads, Calcium Carbonate, Mango Butter and Xanthan Gum. Tetrasodium EDTA, Liquid Germall Plus, Glycerin 99.5%, MSM and Powdered Soap. Our Cosmetic Ingredient Info Page has been totally updated. New items have been added. We've also added to the existing information. The INCI page has been completely redone and is also the new home of all our product ingredient lists. Orangeblossom Floral Water has been replaced with Orange Flower Distillate from France. We now have a Properties of Plastics Chart on our site. A Glossary page has been added to the site to assist with abbreviations and cosmetic terms. There is now a Cosmetic Industry and Business Links page with links to regulatory and research sites. Yes we have a new look to the site yet again. We've also changed the logo again now that we feel everyone is aware of our domain (www.oshun.ca). Our site is now on a new server and is running much faster than before. We'd like to thank the folks at Driftwood (our new web hosts) for the excellent service and for making our move to them so incredibly painless. Our site was always secure, however we have just added a Thawte certificate so that the browsers know it is in fact secure. Air Parcel Post to the US is no longer available as a shipping method. We found that in every instance Xpresspost USA was either the same price or less than Air. Surface Parcel Post is still available as a lowest cost method.